The long-awaited Android Wear 2.0 update has finally made its official debut, and one of its most prominent highlights is standalone apps. 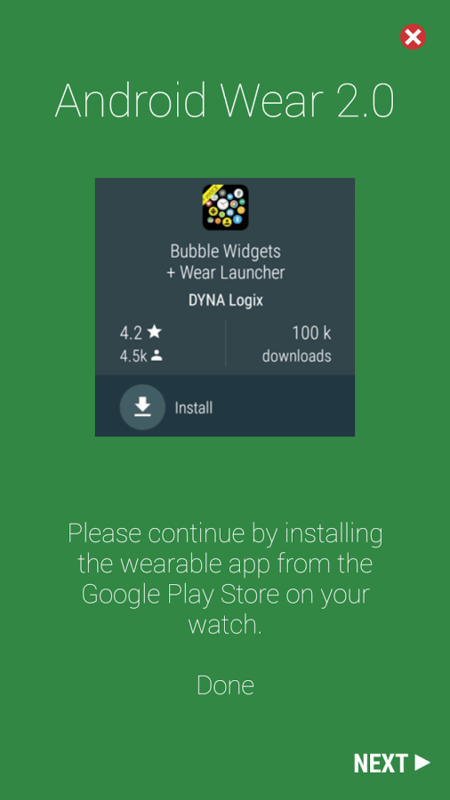 Essentially, this allows your watch to install its own apps from its own version of the Play Store, and not be tied to your phone. 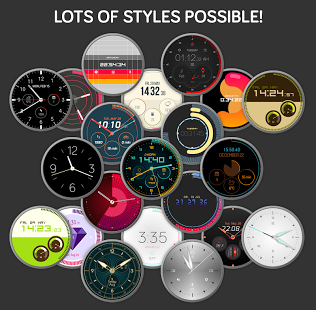 Some of these are honestly pretty handy, which is why we've rounded up the best ones for you to have a look at. 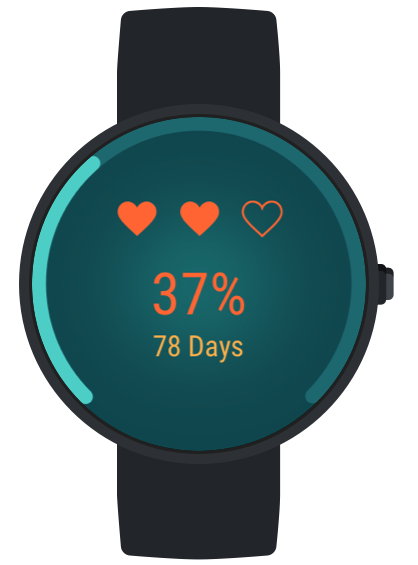 Many of these apps will utilize your watch's heart rate monitor, GPS, and/or speaker. 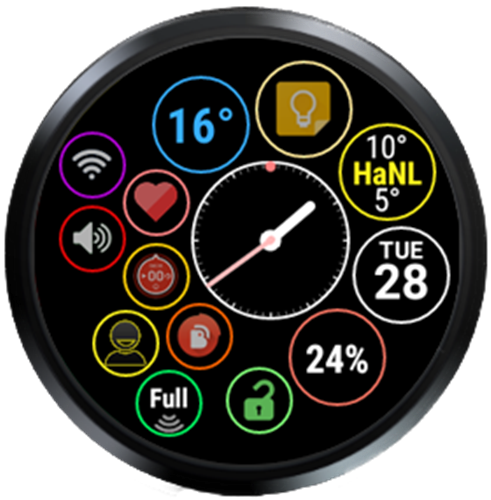 Since many watches will not have some (or in the case of the LG Watch Style, any) of these features, functionality may suffer. 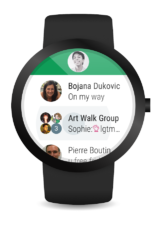 We all know and love Hangouts, right? 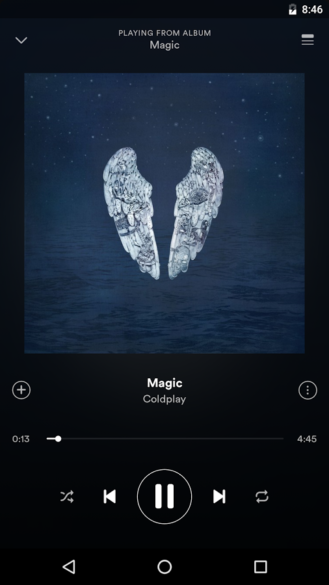 Okay, so maybe that "love" part isn't true for some of you, but it's still used by more than a few people. 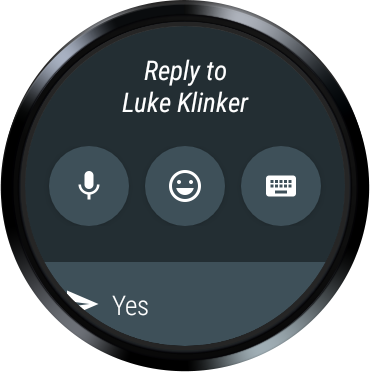 Hangouts for Wear allows you to continue conversations via voice, handwriting, swipe, or regular keyboard input, as well as switch accounts. 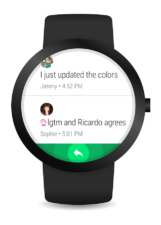 If you're a Hangouts user, you'll enjoy this update. 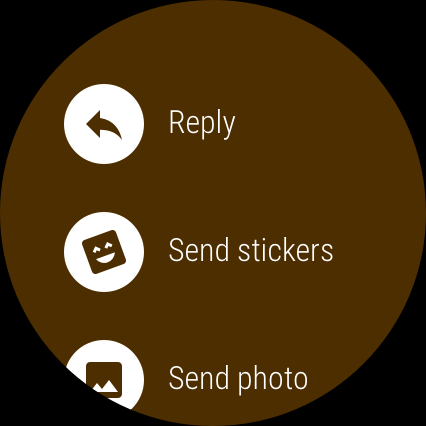 I use a few instant messaging apps, but Telegram isn't one of them. 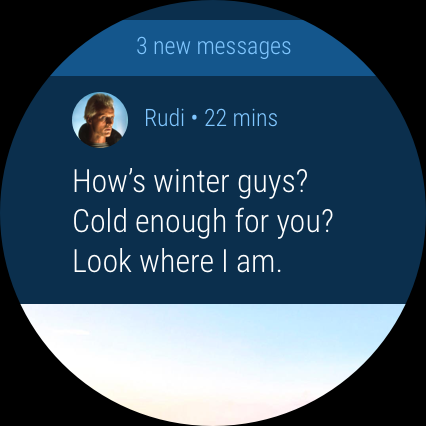 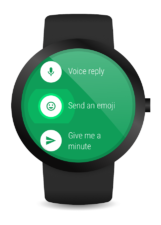 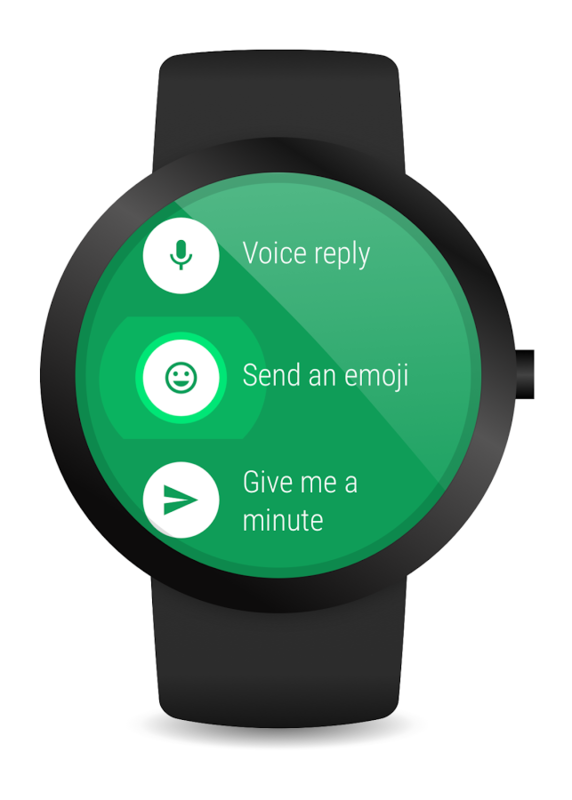 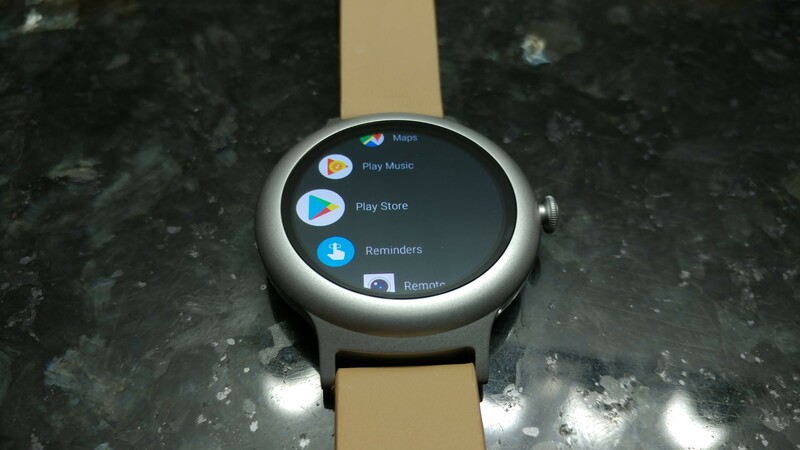 However, if you are one of the millions of people who uses the service and you also have an Android Wear 2.0 watch, you'll be able to create and reply to messages, send stickers, and send photos from your watch without having to install the app on your phone (although I'm not sure exactly why you'd want to do that). 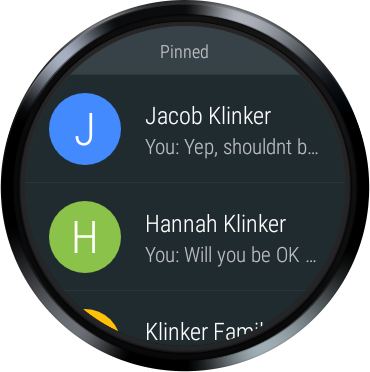 Pulse SMS is a seriously awesome app that allows your SMS and MMS messages to be synced to multiple devices. 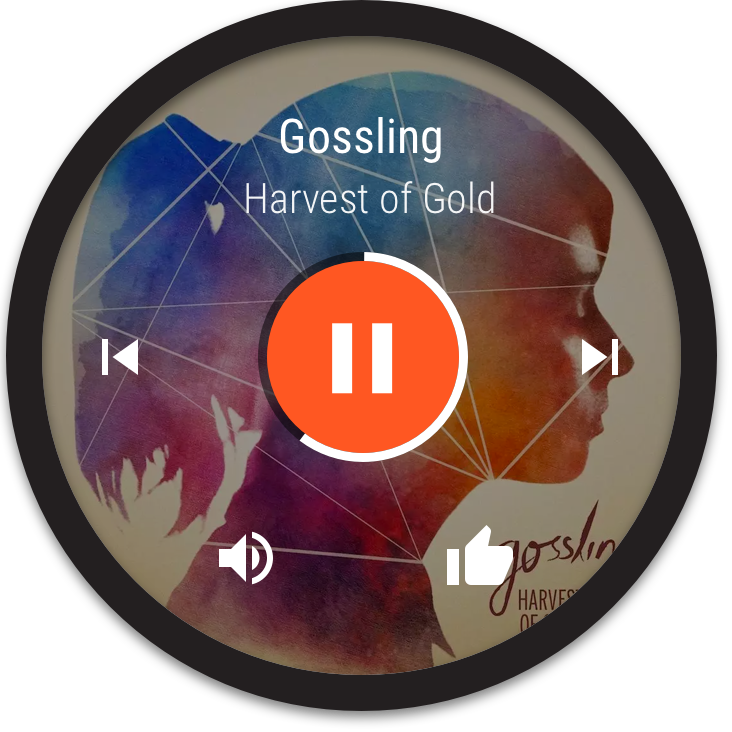 If you have a few smartphones that you routinely go back and forth between, Pulse is a godsend. 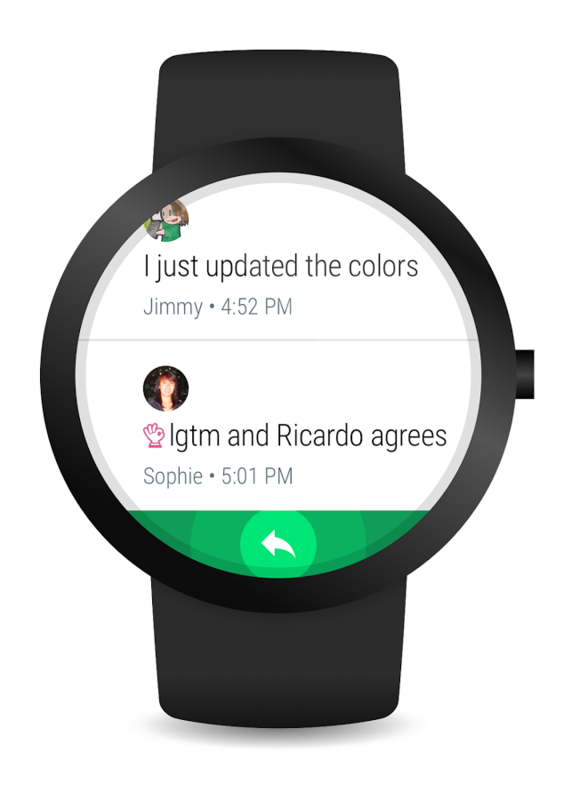 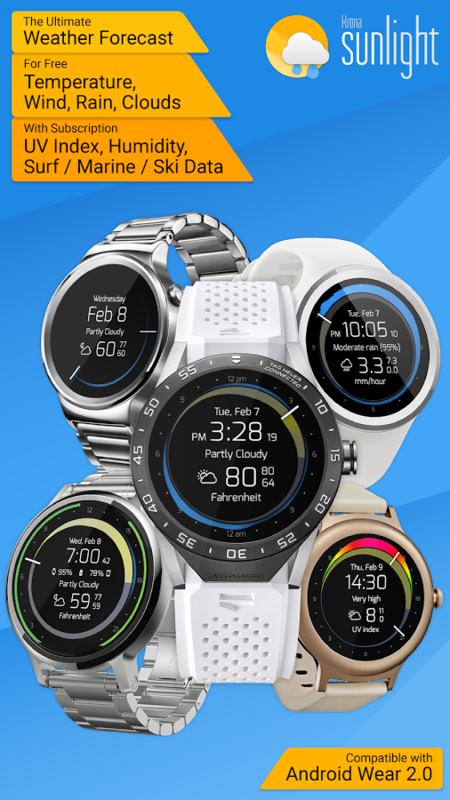 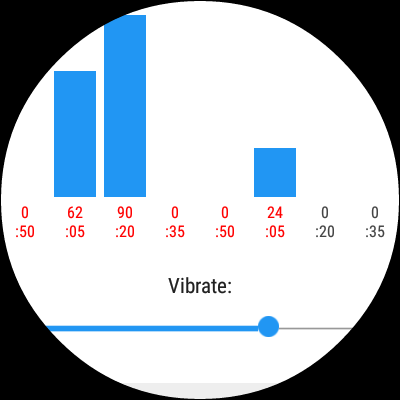 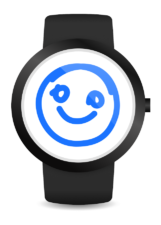 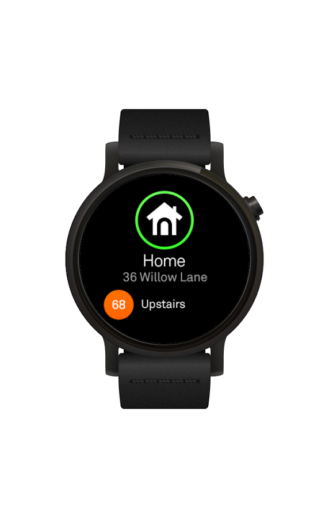 Version 2.0 of the app brought a standalone Wear app that allows users to reply via the new input methods, as well as login to your Pulse account on your computer to gain access on your watch. 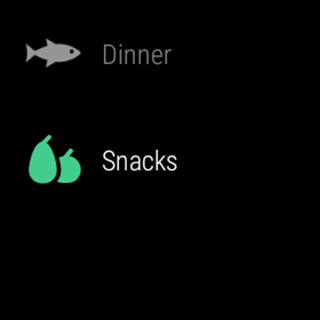 Again, I'm not really sure why you wouldn't want this app on your phone as well. 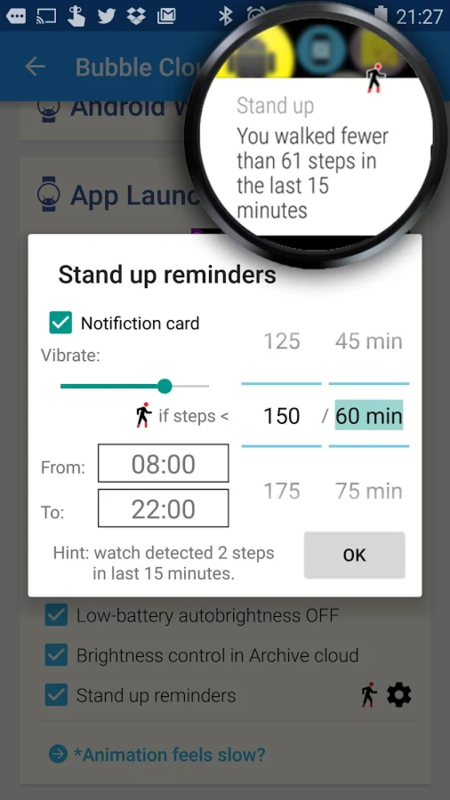 How awesome are the devs for including AP in a Play Store screenshot? 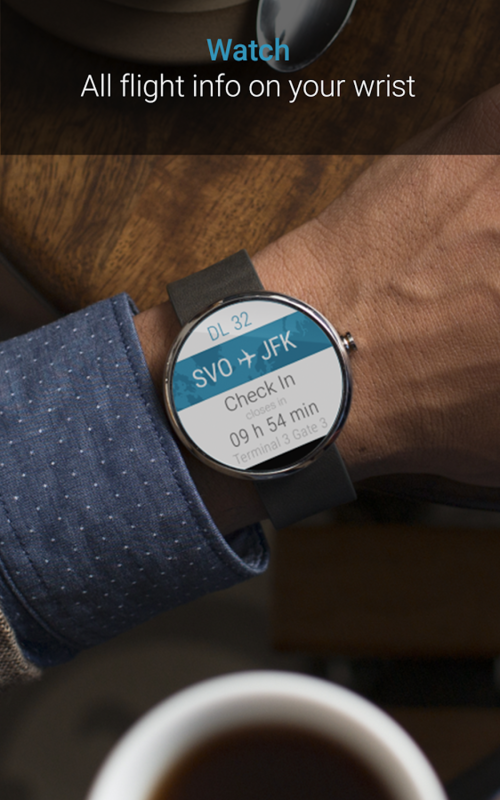 App in the Air is a "personal flying assistant" that provides loads of real-time data, maps, and tips on your flights. 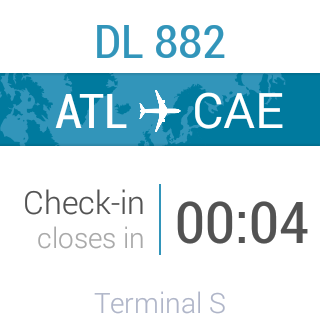 It covers over 1000 airlines, 5000 airports, and several alliances worldwide, allowing you to never lose track of a flight. 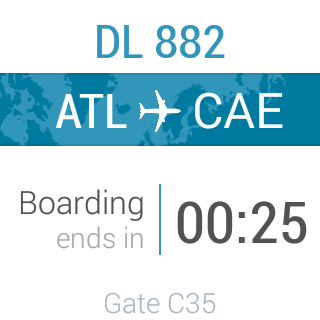 It also integrates with TripIt so that you can sync your itineraries together. 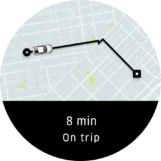 It essentially offers anything that a flier, whether frequent or infrequent, would need to navigate around. 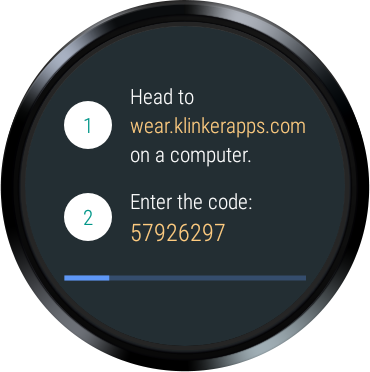 The Wear app brings all of this to your wrist, making access to all this info even more convenient. 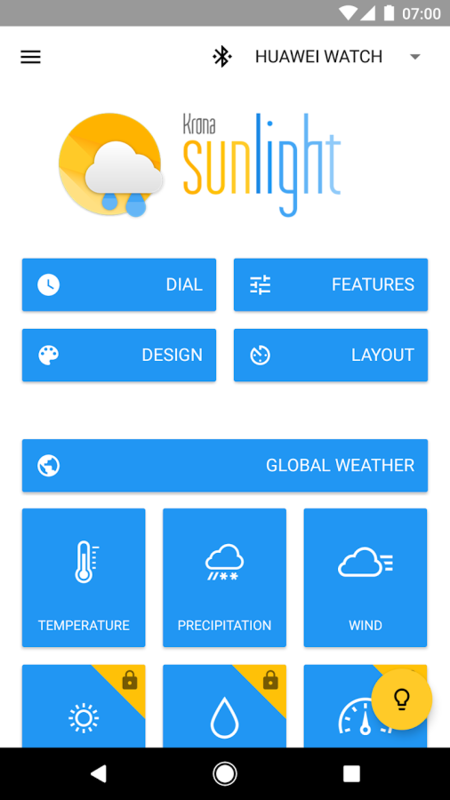 Developer: App in the Air, Inc. 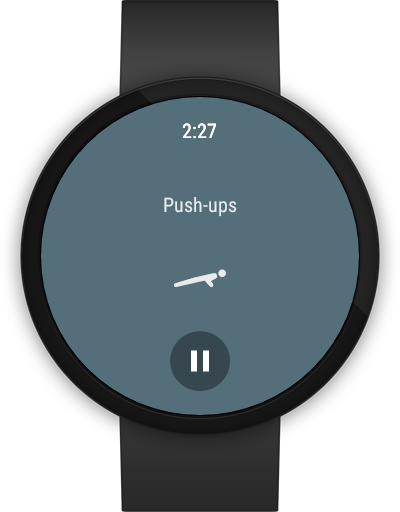 Here's another Google app that's been updated for use with Wear 2.0: Play Music. 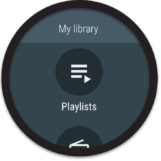 I don't personally use GPM, but many do, either as an MP3 player or for GPM All Access. 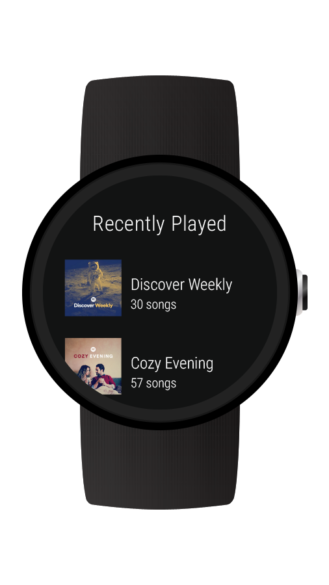 Now, you can stream music via LTE or WiFi independently of your smartphone to play on your watch's speaker or on Bluetooth headphones that are directly connected to your watch. 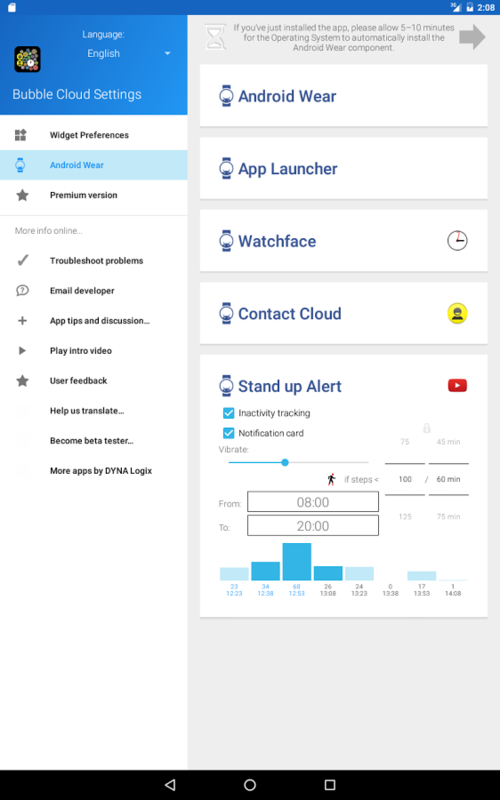 The app has also received a slight redesign to cope with the added features. 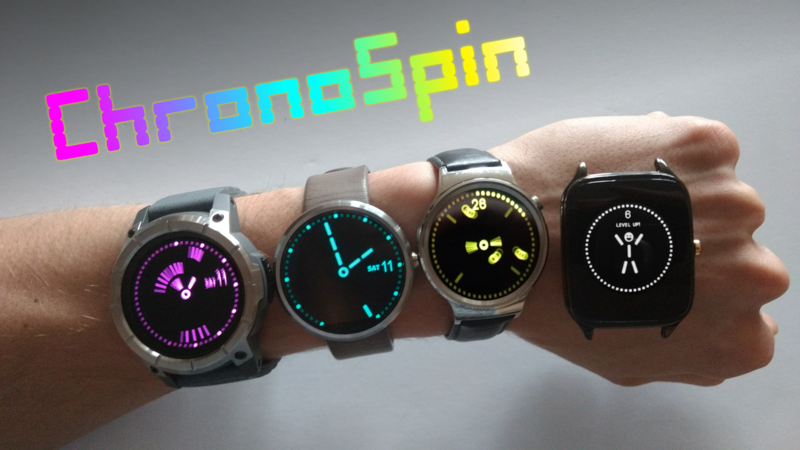 There are only two games in this roundup, but ChronoSpin is a pretty cool one. 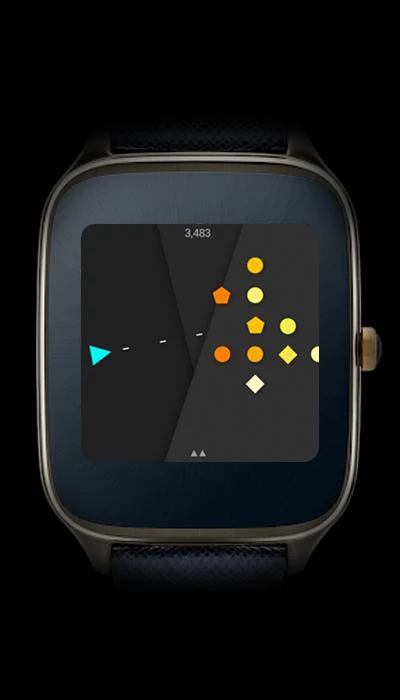 It's based on another game called PipSpin. 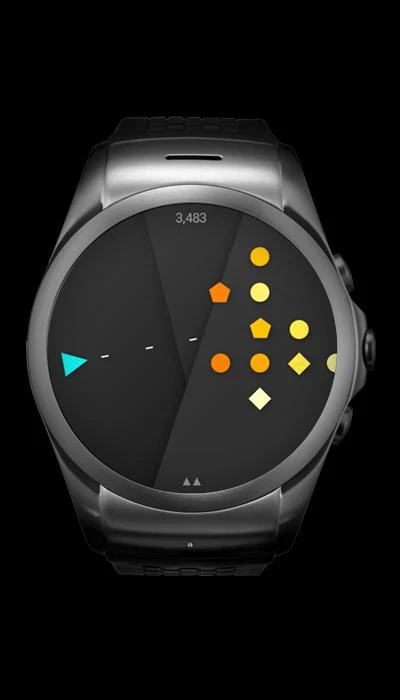 Essentially, you have to reverse the constantly-moving watch hands on the screen to avoid these small circles that stream in from the top of the screen. 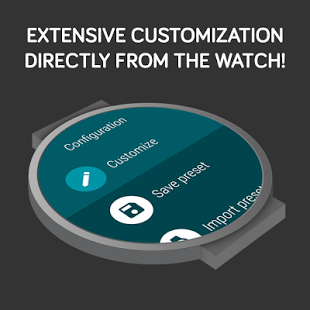 You can also change the theme of the game. 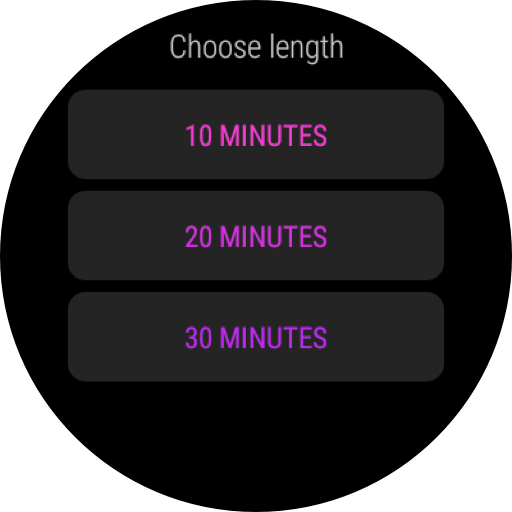 If you want to have the appearance of just checking your watch while actually doing some light gaming, this is your app. The standalone aspect of Wear 2.0 can really be demonstrated by fitness applications, and Strava is one of these. 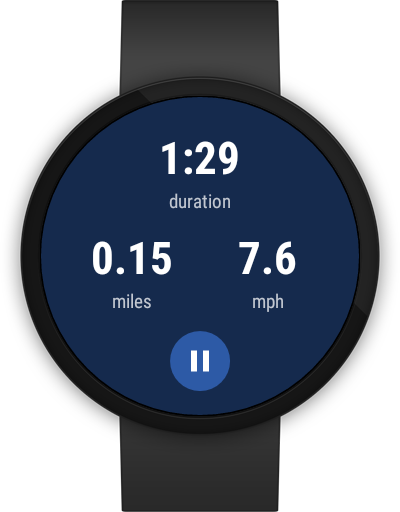 In case you didn't know, Strava is an app that allows you to track your runs and bike trips via GPS, making this perfect for users of the LG Watch Sport (or any other GPS-equipped watch with Wear 2.0). 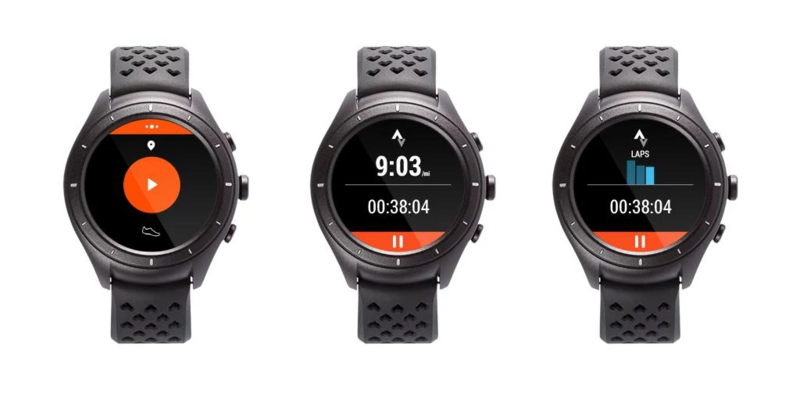 Finally, you can ditch your bulky phablets at home while going for a run. 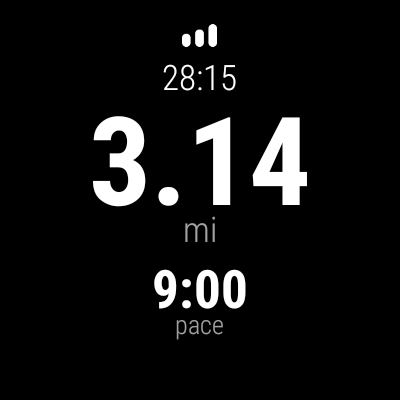 Strava can even record and upload activity independently of your phone. 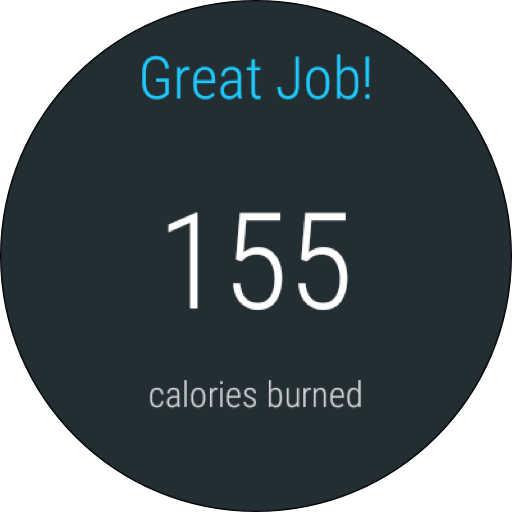 Runkeeper is a fitness app that really suits Wear 2.0. 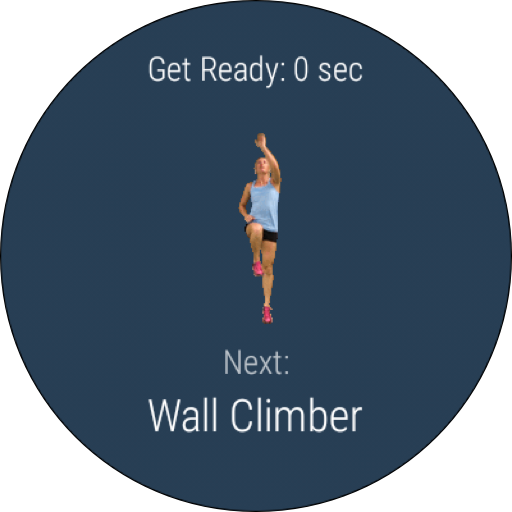 It's similar to Strava, but athletes will swear by one or the other. 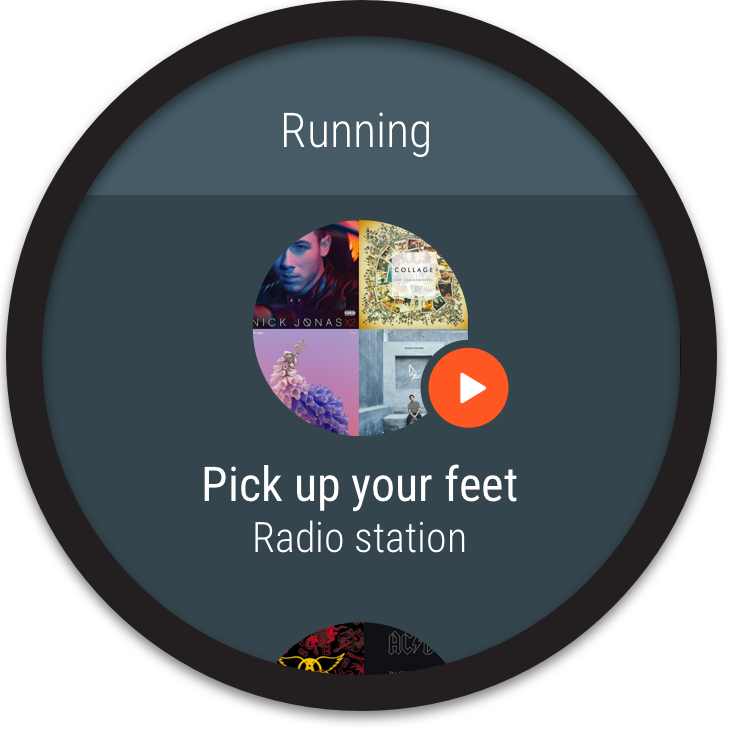 You can track your run with your watch's GPS, and all of the data recorded will sync with your phone's Runkeeper app. It's really quite well-designed for Wear. 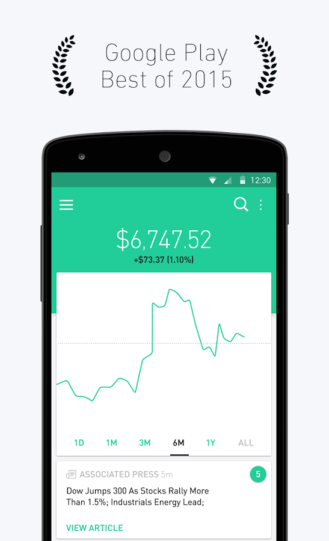 If you trade stocks, Robinhood is an app that you may want to check out. 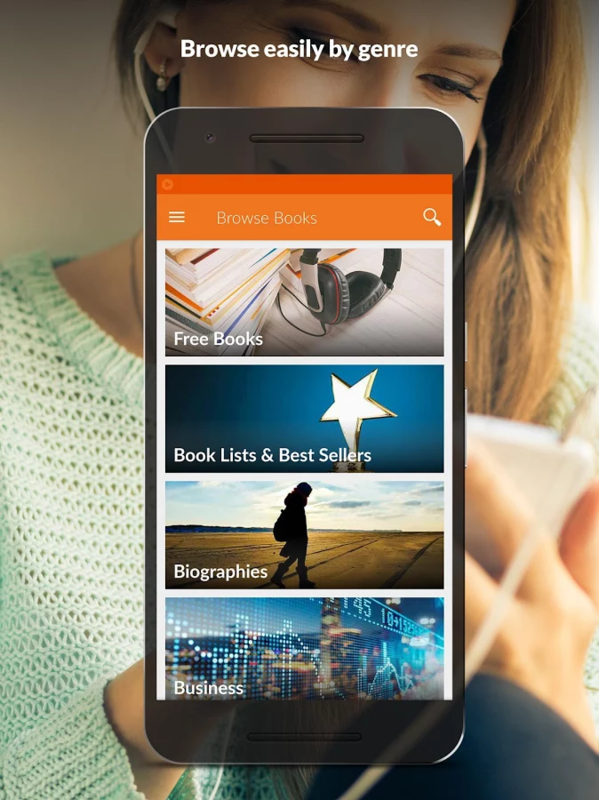 It's well-established, with over 500,000 downloads and an average rating of 4.6 stars. You can make free trades, view market data, and build a personalized watchlist. 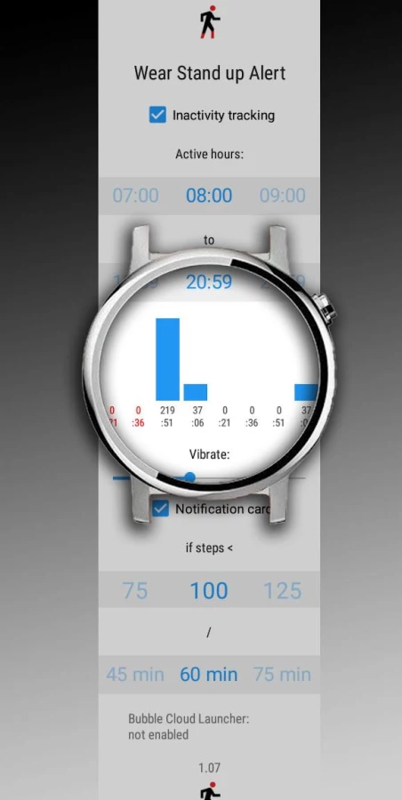 And with the app on Wear, you can check all that with the flick of a wrist. 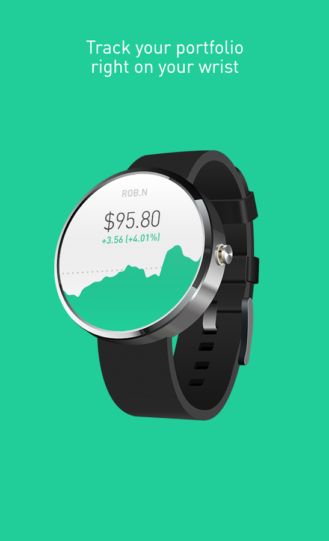 It also appears to delete the Moto 360's flat tire, and that's something no other stock trading app can claim. 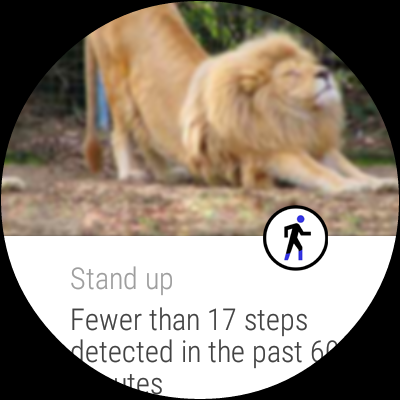 Foursquare may not be as popular as it once was, but it still has a following of users who like to see places that others frequent. 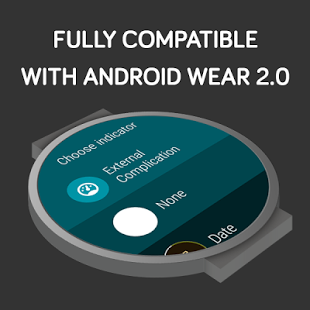 The Wear 2.0 app allows you to browse different categories, see details and ratings about them, and read tips when you get there - all without being connected to your phone. If you like to try out new places, the Wear app could be useful for you. Nest thermostats are gaining popularity, even in regular consumers' homes, for the convenience and features they offer. 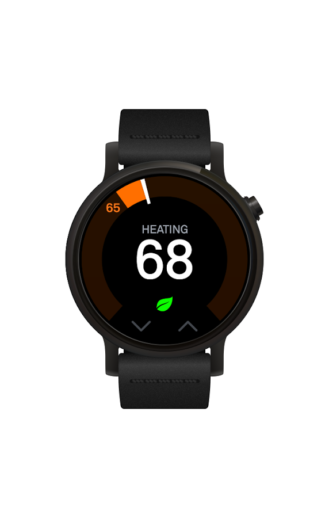 Being able to set your home's temperature remotely is very handy, and can actually save you a lot of money over time. 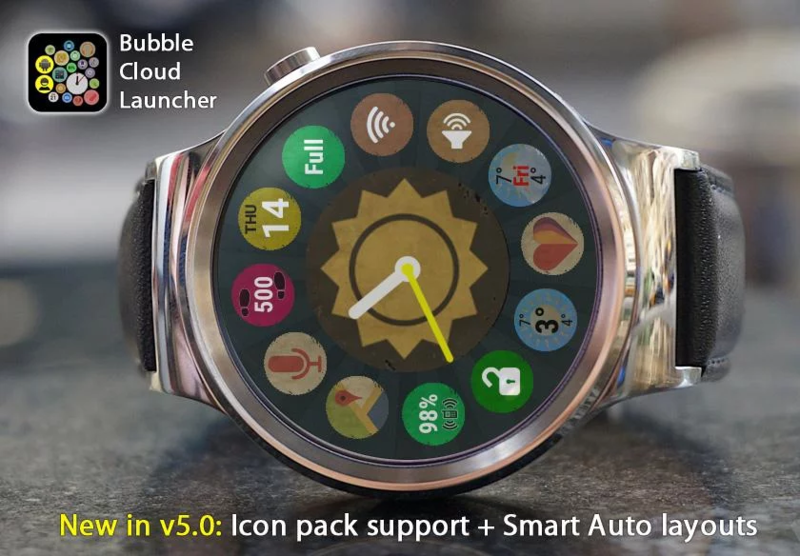 Now, you can control all this straight from your wrist, as long as your watch has a data connection through either WiFi or LTE. 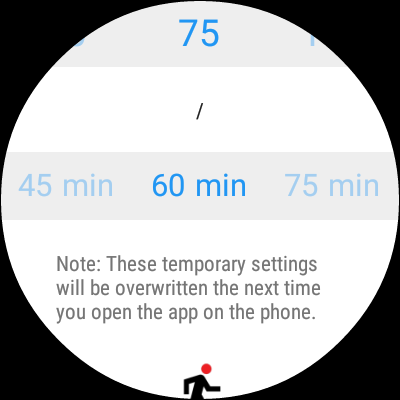 So should you forget your phone at home, you'll still be able to shut off your utilities remotely. 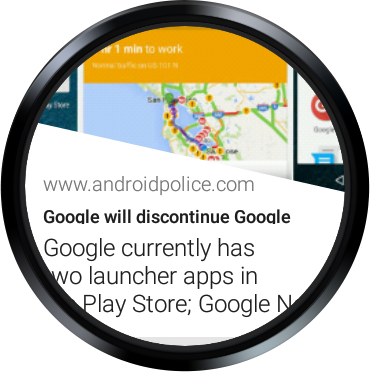 Hey look, another app that deletes the Moto 360's flat tire! 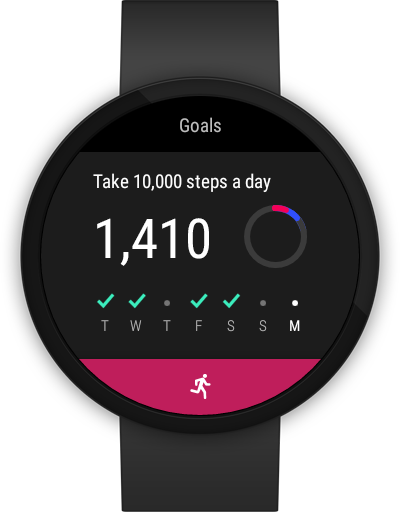 Yep, it's another fitness app, but this time, it's Google's own. 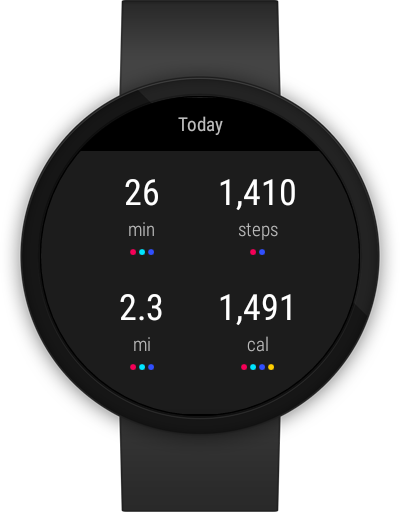 Fit is unique in that it can combine info from other apps, including the previously mentioned Strava and Runkeeper. 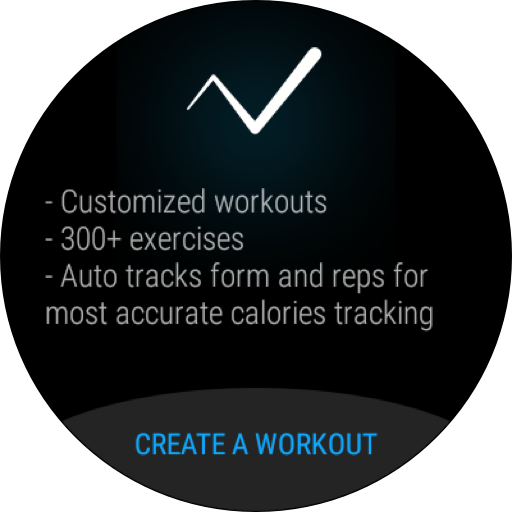 Additionally, the Fit Wear app can automatically log your walks, runs, and bike trips throughout the day. 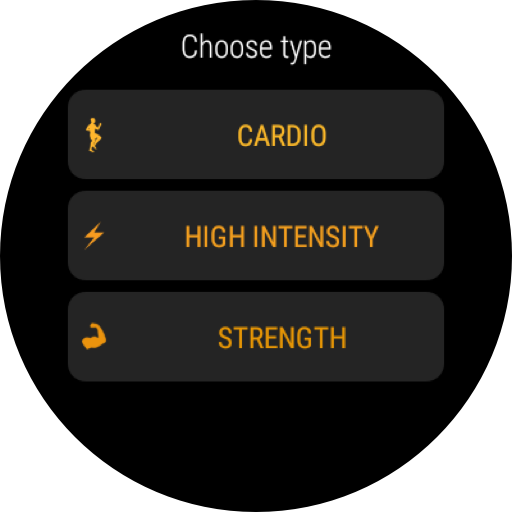 If you're a fitness buff and haven't given Fit a try yet, perhaps now is a good time to. 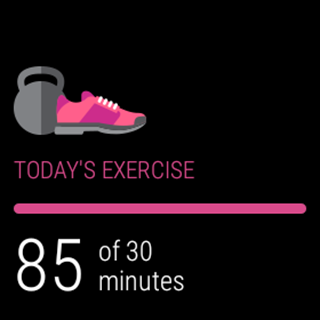 The fitness apps continue. 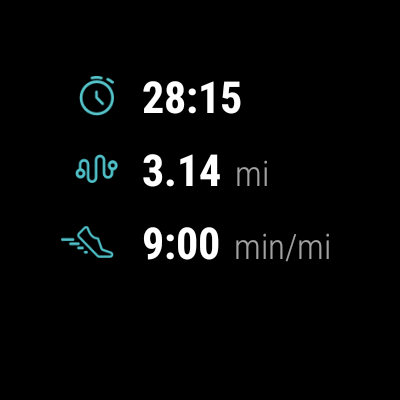 This time, though, it's less of a tracker and more of a trainer. 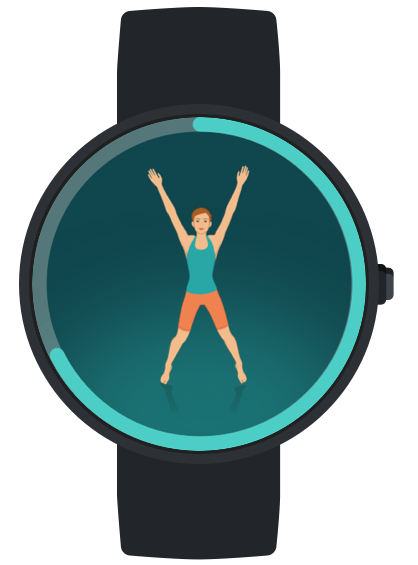 The poorly-named "Gymatic Person Trainer Workout" touts over 300 exercises, professional voice coaching (which your watch will need to have a speaker for), as well as a workout designed by a trainer named Coach Kozak, who is apparently famous. 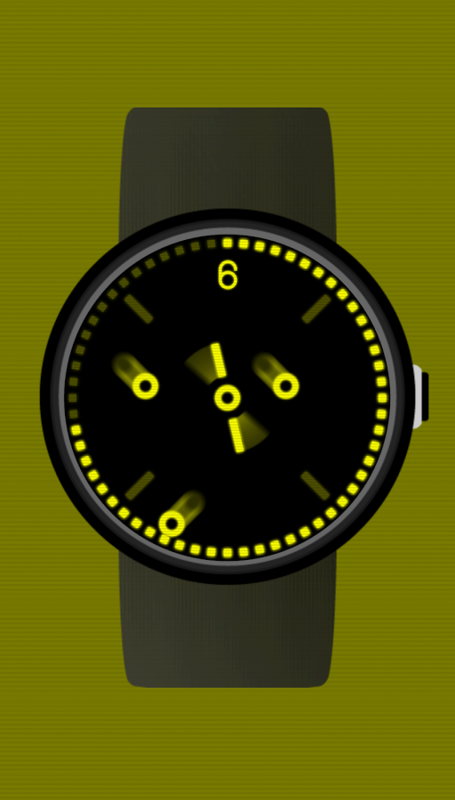 The app is specially made for Wear, although the graphics do look a bit 1990s. 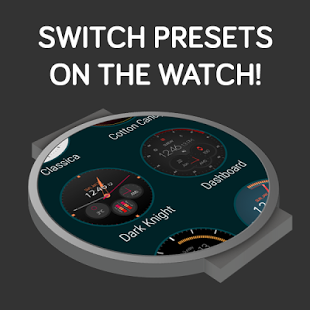 Is it worth the $1.99 cost over our next feature? 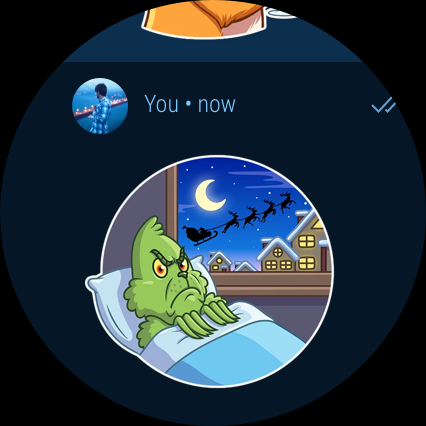 That'll have to be your decision. 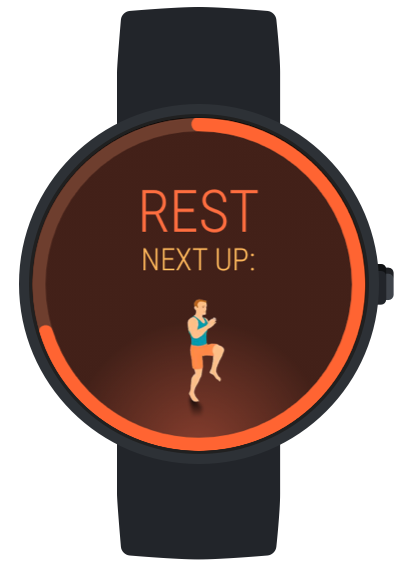 Going to the gym is all well and good, but what if you just can't cram an hour-long gym session into your schedule? 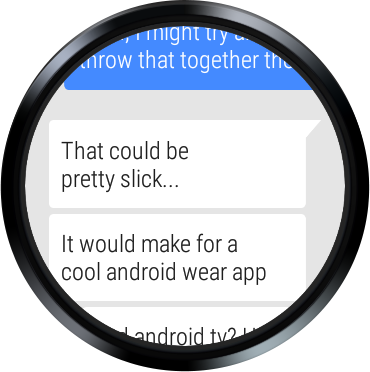 Well, you may want to take a look at Seven. 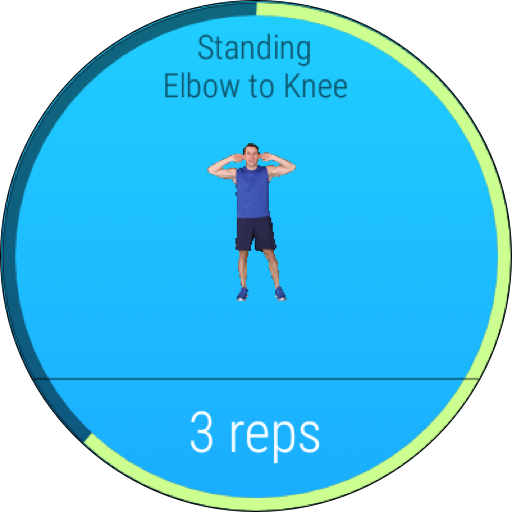 This app allows even the busiest people to fit some exercise into their lives, and now, they don't even have to take their phones out to do so. 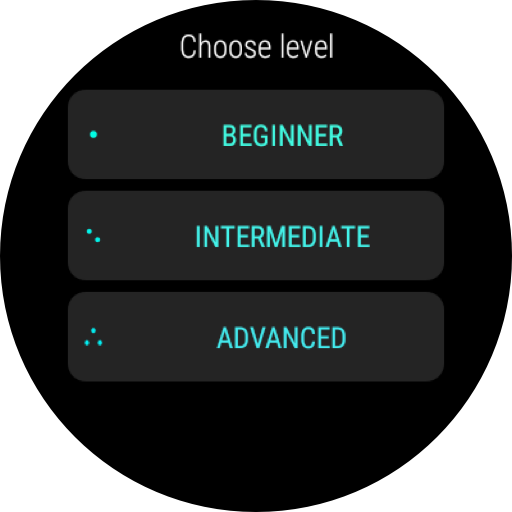 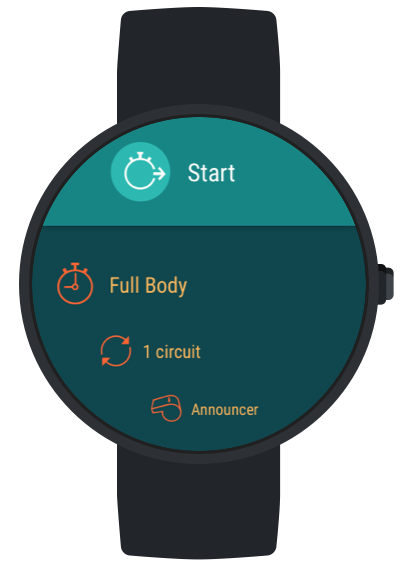 This is another app that really requires a watch with a speaker to work well; because the Style doesn't have one, I had no idea when different exercises and breaks were starting and finishing. 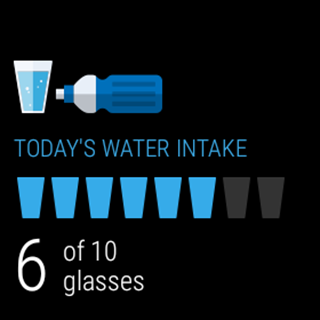 Other than that, though, this is a pretty handy app. 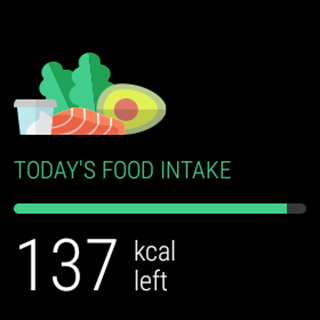 Lifesum is an app that promises to help you make better food decisions and exercise more. 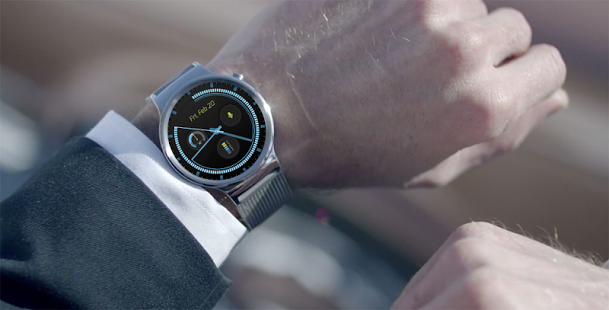 Naturally, it would make sense to have an Android Wear app for it so that you can get assistance without having to whip your phone out. 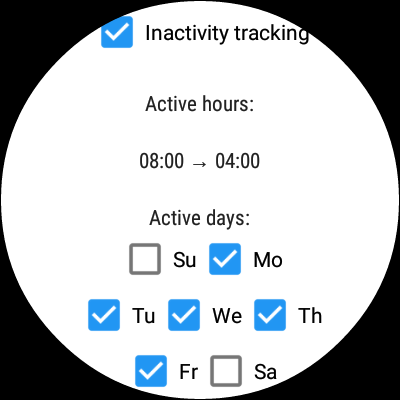 Not only can you get health suggestions, but you can also quickly view your activity for the day, as well as log your meals and water intake. 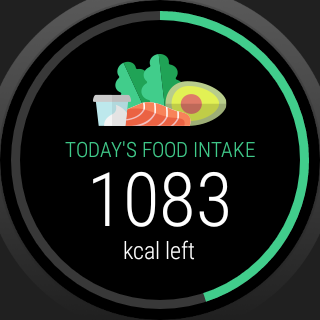 For those of you who don't eat well, Lifesum could help you out. 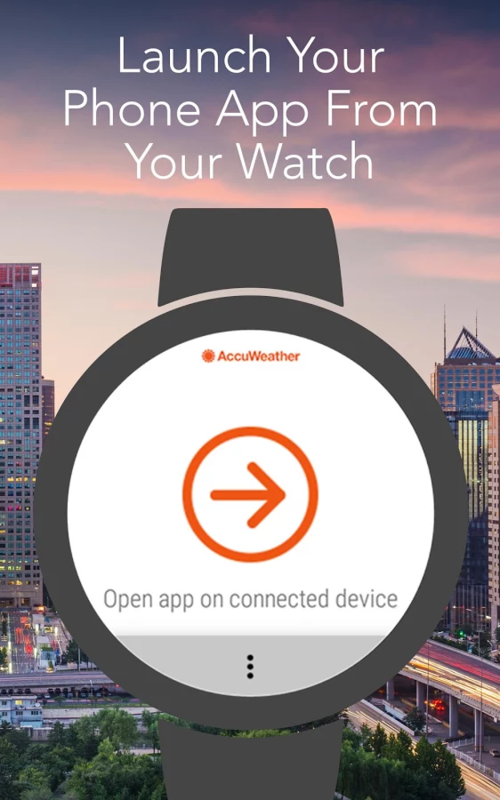 AccuWeather's had a pretty barebones companion Wear app for some time now, but it's now been updated to be standalone. 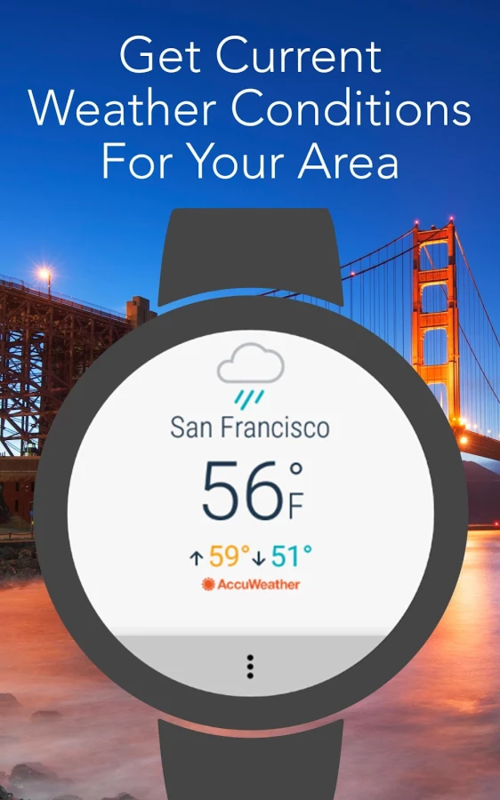 The new app can show current conditions, as well as hourly and daily forecasts. 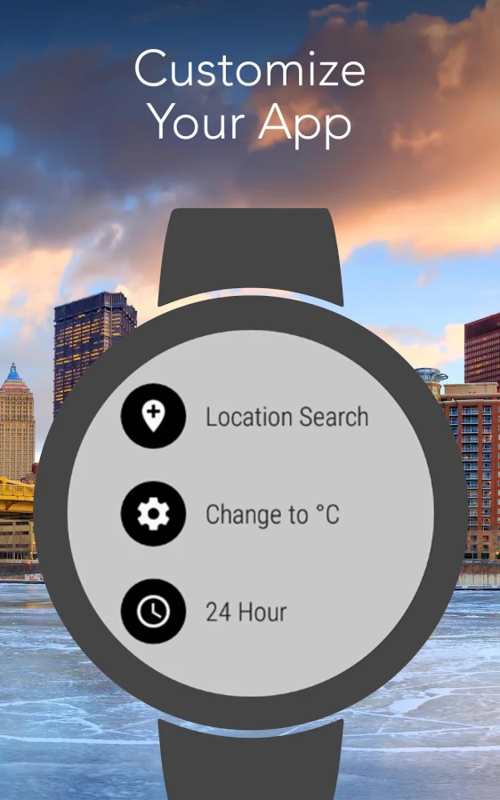 You can also have multiple locations and switch between Fahrenheit and Celsius. 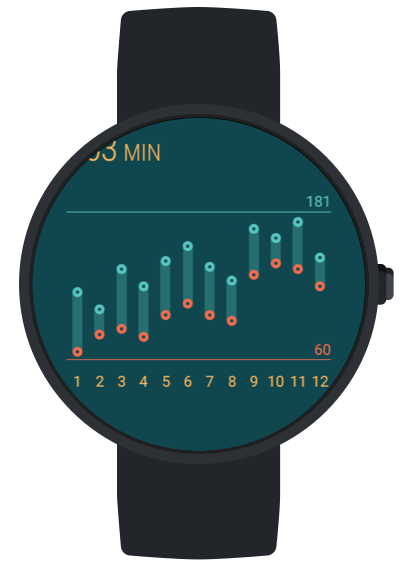 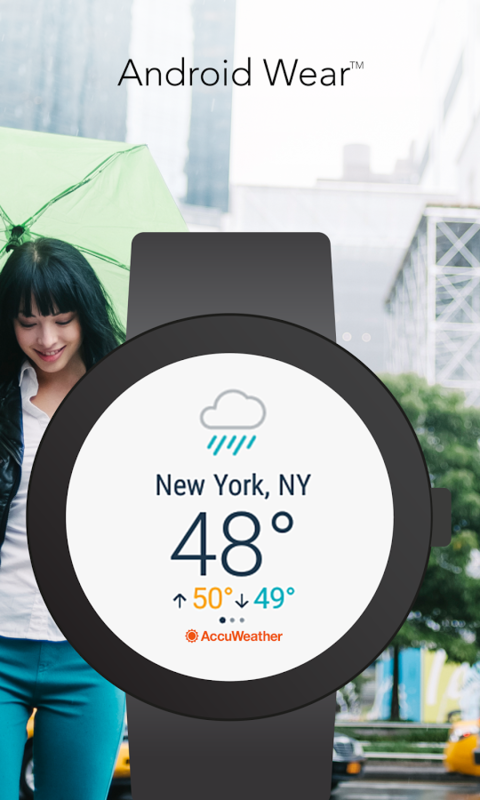 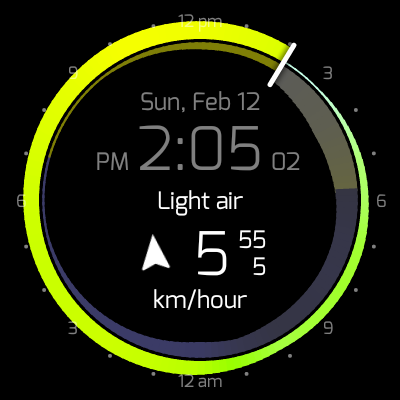 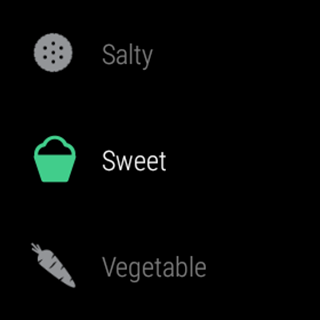 It also includes a watchface that allows you to view current conditions with the flick of a wrist. 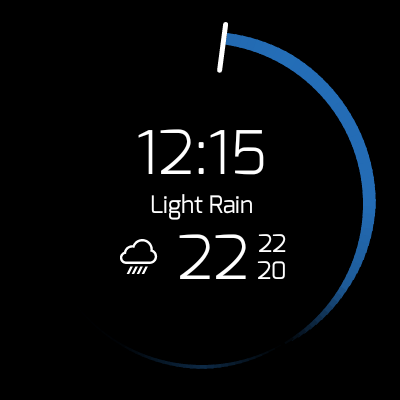 It's a pretty solid update for a pretty solid OS upgrade. Spotify is one of the most popular streaming services, and it's now available as a standalone app for Wear 2.0. 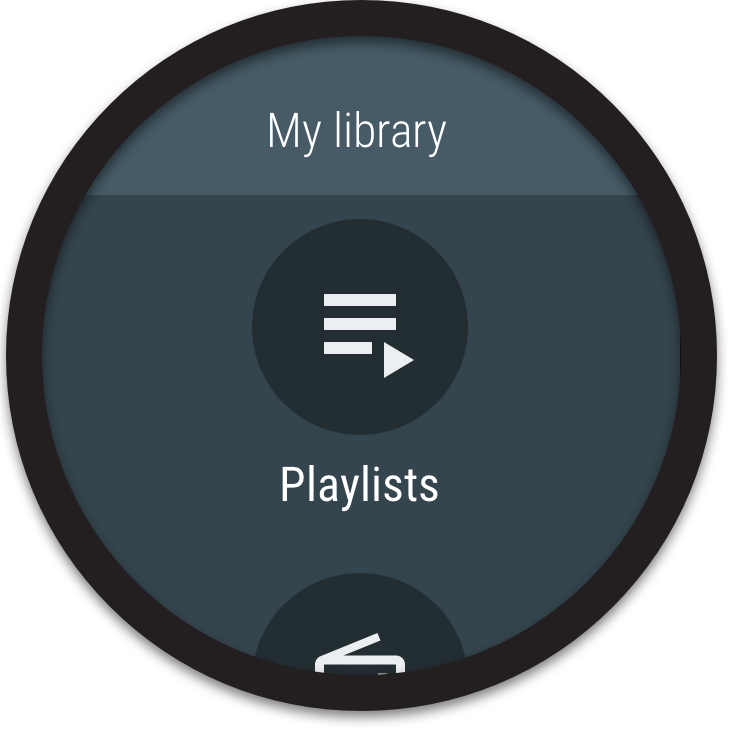 From here, you can browse through your music and recently played playlists, as well as control playback. 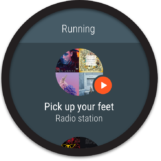 You can also stream music using your watch's LTE or WiFi connection independently of your phone, which might come in handy if you're on a run, at the gym, or any place where having a bulky phone is inconvenient. 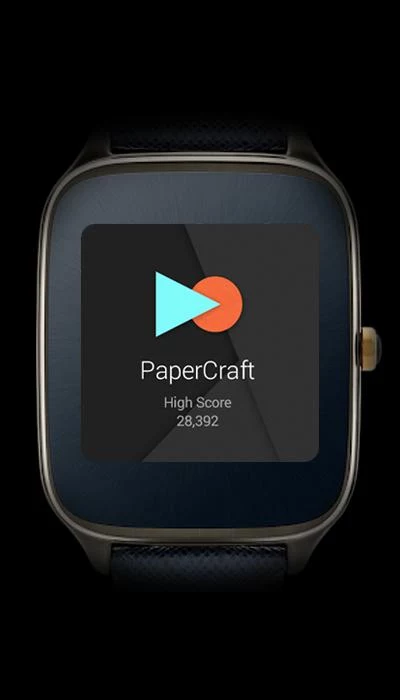 PaperCraft is the only other game on this list. 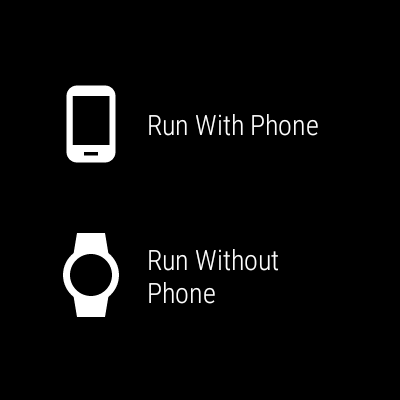 As most Wear games are (mostly by necessity), it's simple. 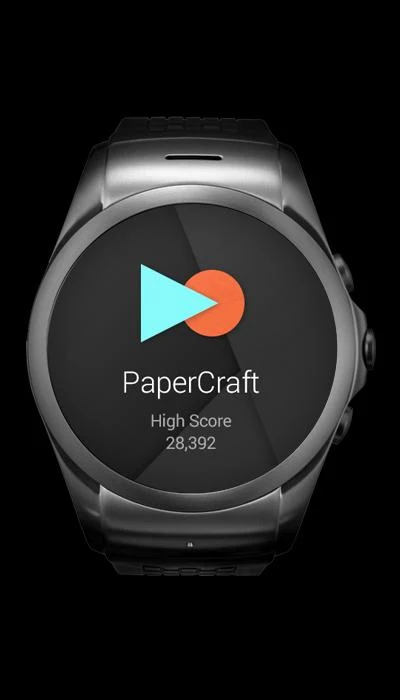 Basically, you have to "clear little paper guys" and prevent them from reaching you by shooting them. 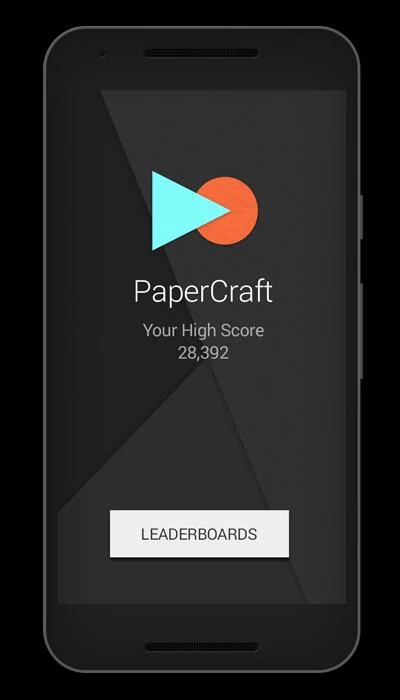 You can record your results both on your phone's leaderboard and on Google Play Games'. This could be a fun little time waster if you're truly bored. 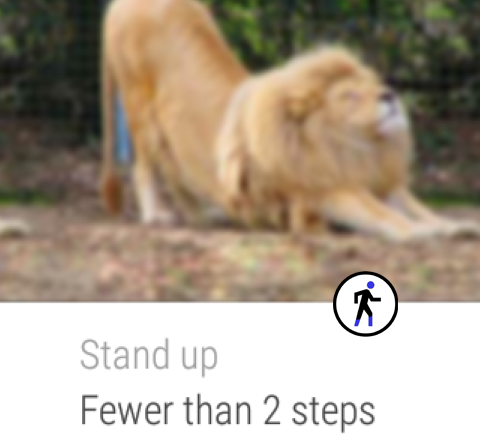 While sitting is necessary to complete many jobs and tasks, it can prove unhealthy in overly large doses. 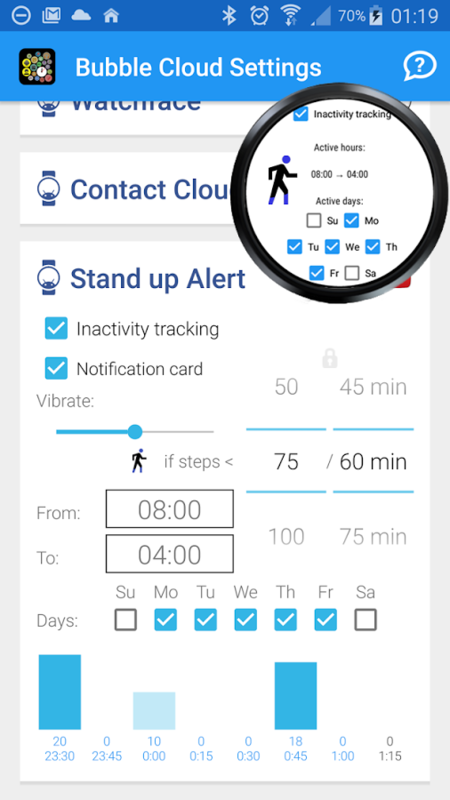 To solve that issue, DYNA Logix has created an application that will alert you if you've been motionless for too long. 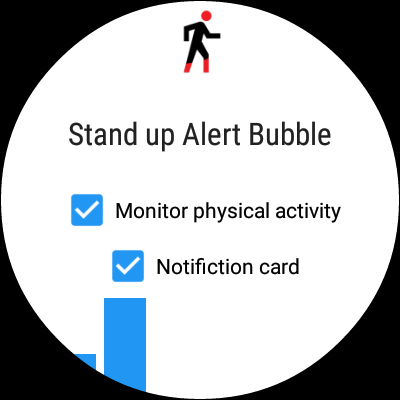 After notifying you, the app will then calculate the amount of steps it deems the minimum required to stay healthy, and then reset its clock. 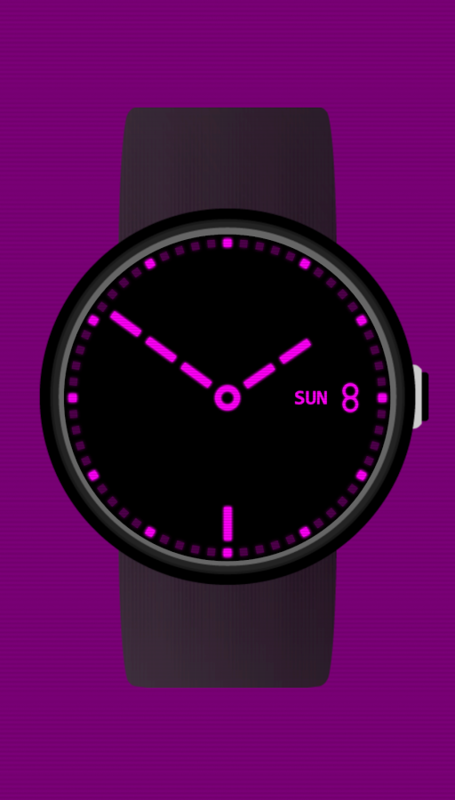 It also plugs in to a watchface that we'll feature later in this roundup. These days, people are reading less and less due to things like tech, games, and movies occupying our lives. 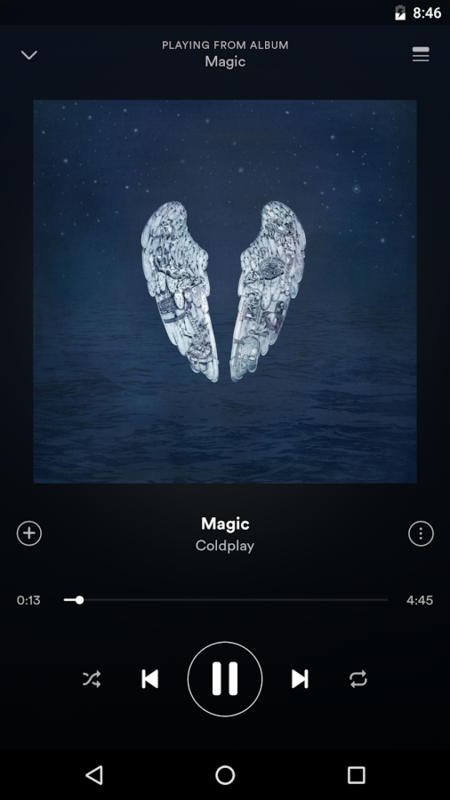 However, it doesn't have to be that way. 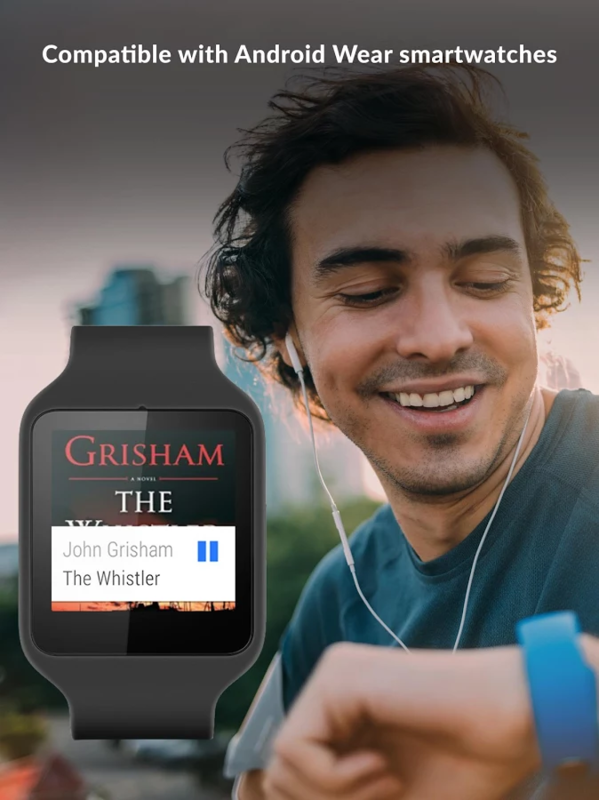 The Audiobooks.com app has made it easier to listen to audiobooks on the go, and Android Wear support takes that a step further. 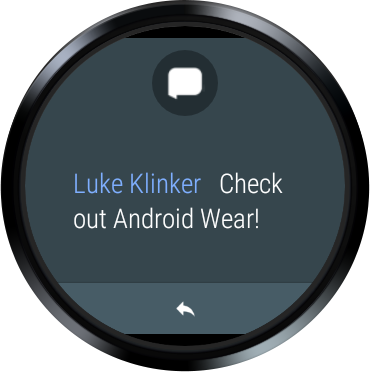 On your Wear 2.0 watch, you can now browse samples and free books, listen (obviously), and have access to controls like forwarding, rewinding, and volume. 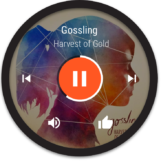 If you're an existing Audiobooks.com user with a Wear watch, this is one to look out for. 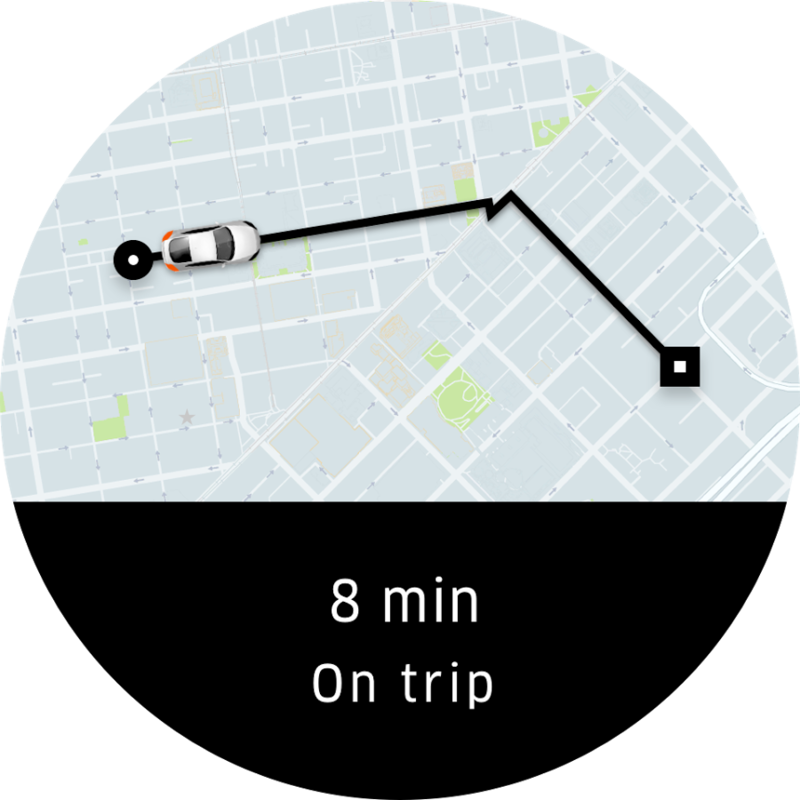 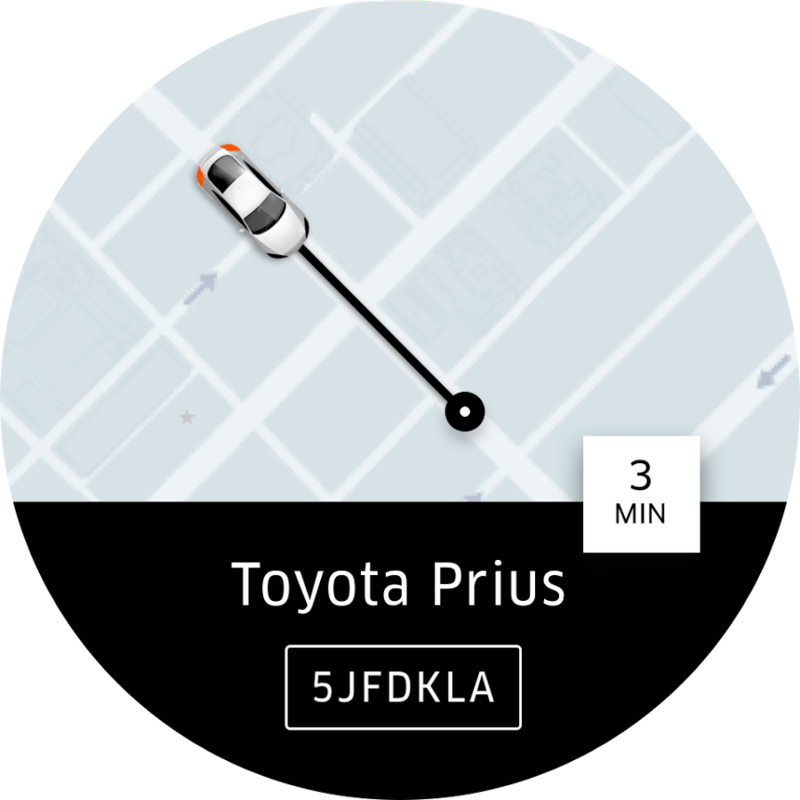 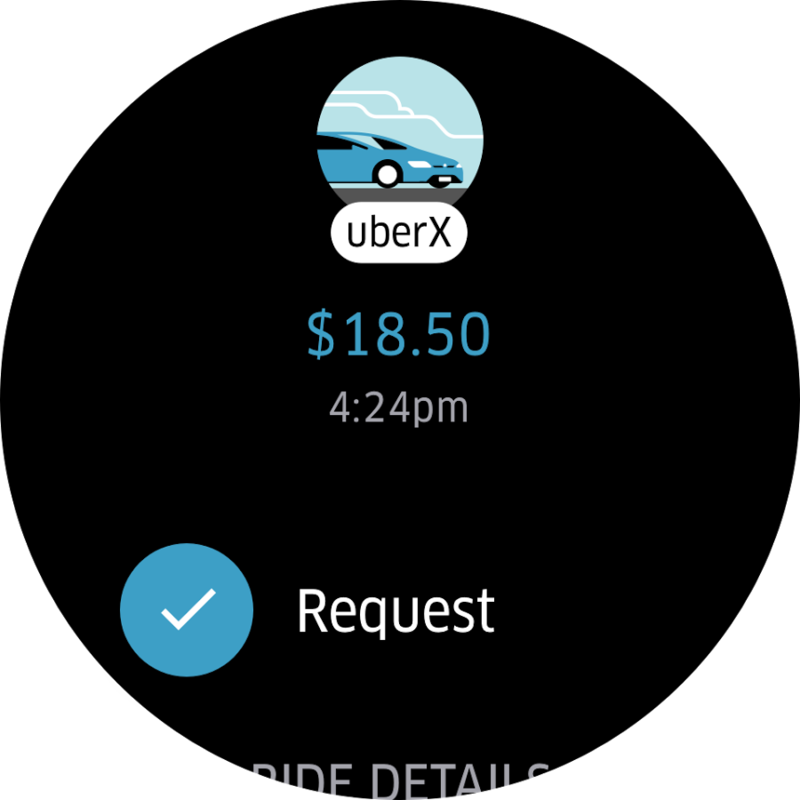 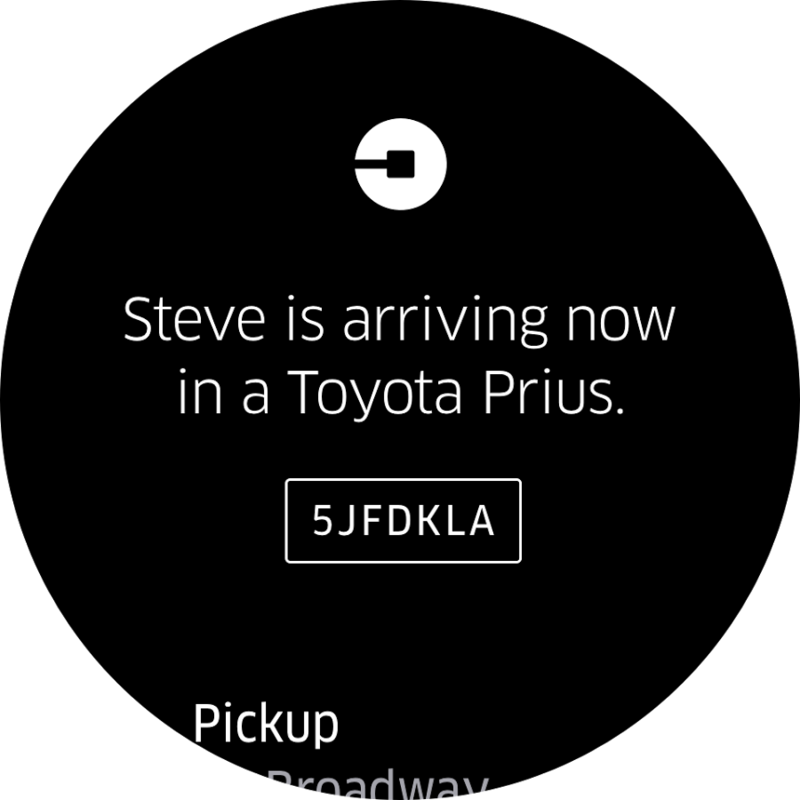 Here's an app that people use a lot (well, less so lately) - Uber. 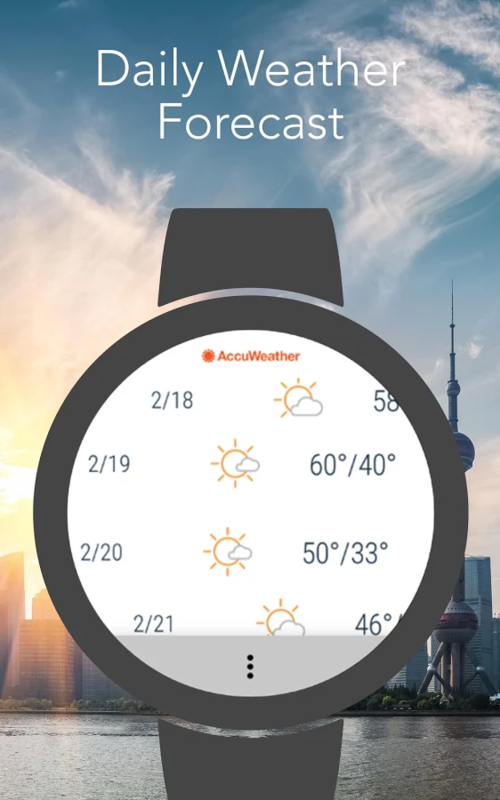 A Wear companion app was promised two years ago, but never came to fruition. 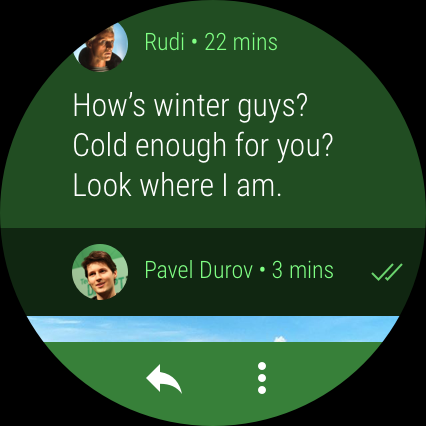 Now, though, a standalone app is here. 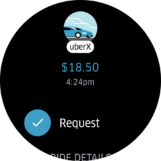 With it, you can request rides, choose your home and work destinations with ease, see prices and ETAs, see your driver and his car make their way to you, and watch the ride progress once you're in it. 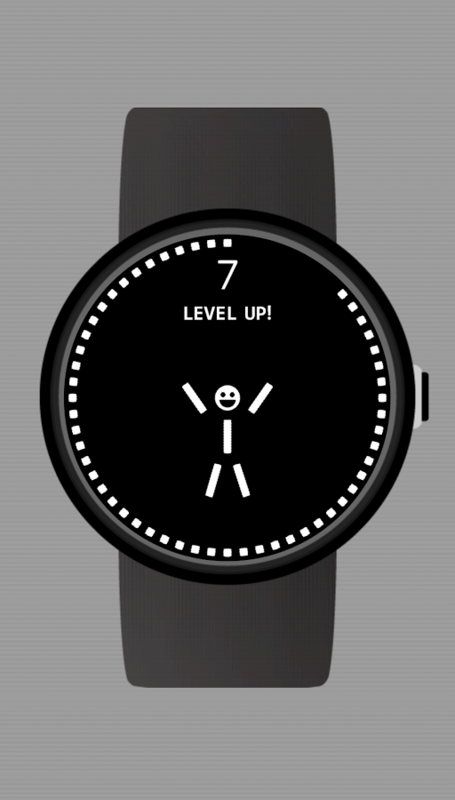 It's pretty neat for something that you can use exclusively on your wrist. Remember when everyone used MapQuest to get directions? 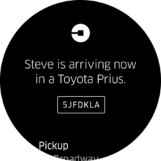 Those days are no more, as Google Maps has all but destroyed that AOL company. 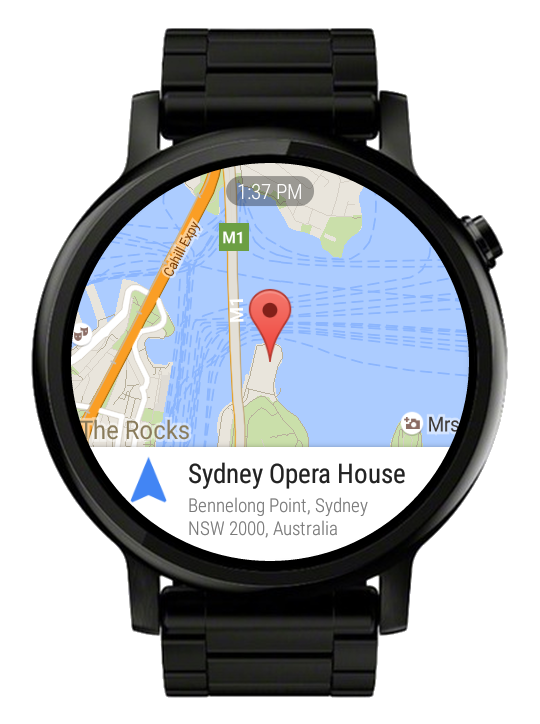 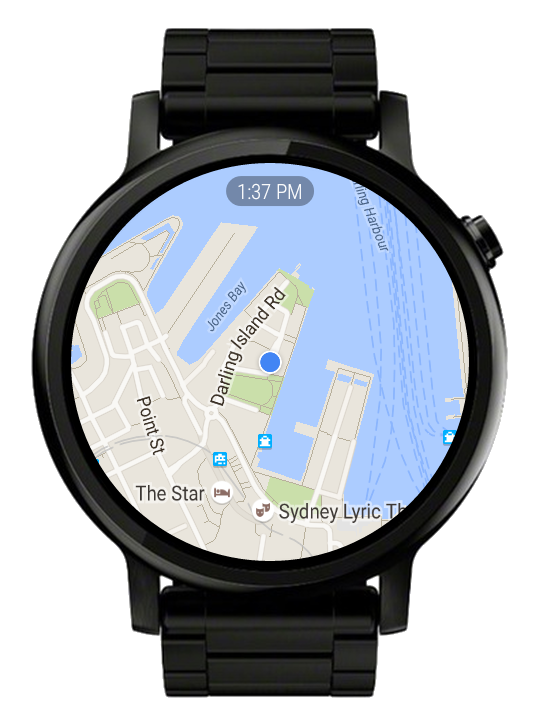 Google Maps has been on Wear for a couple of years, but you can now navigate yourself to a destination with just your watch if you've got GPS built in even without the app installed on your phone (though I'm not sure why you'd do that). You can just browse around, look at nearby places, get and view step-by-step directions, and even keep the map always on with ambient display. 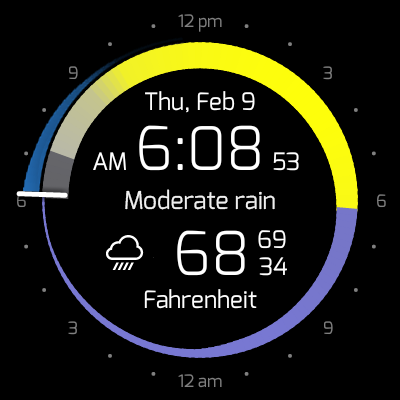 This is an app as well, but we figure that it'll be more fitting underneath the watchface section. 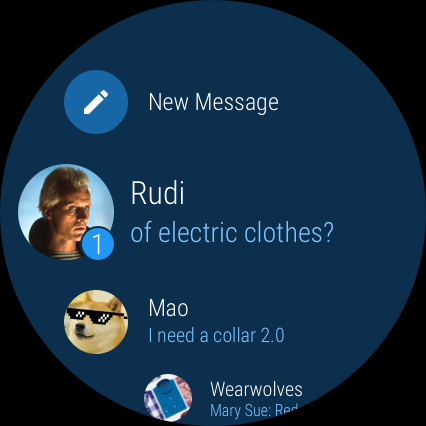 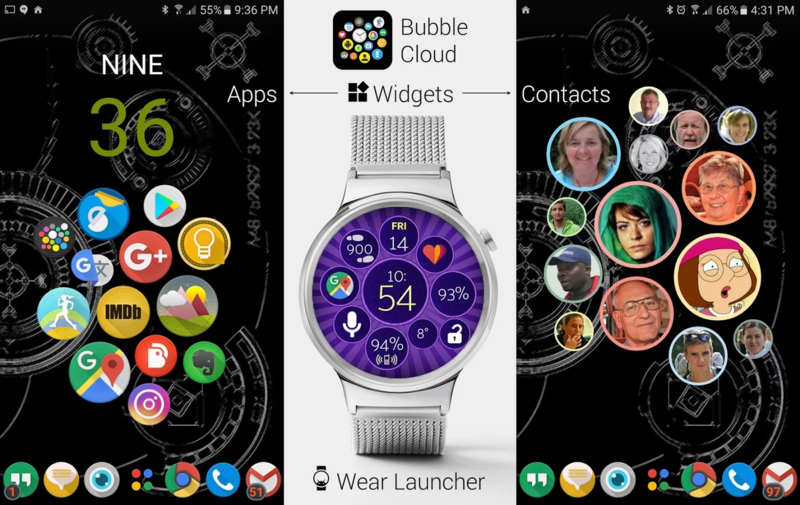 Bubble Widgets has been around for a while now, but it now supports Wear 2.0's standalone capabilities. 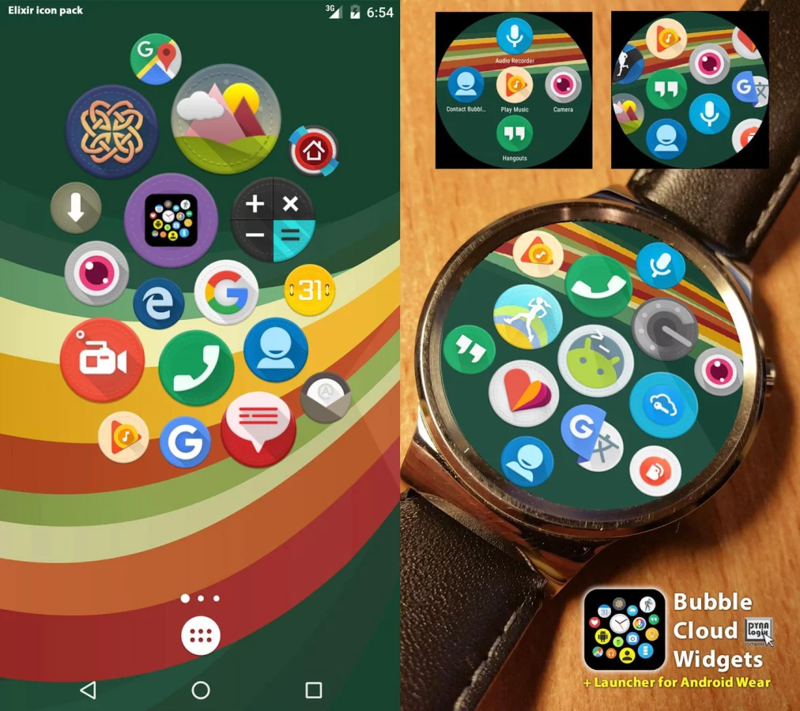 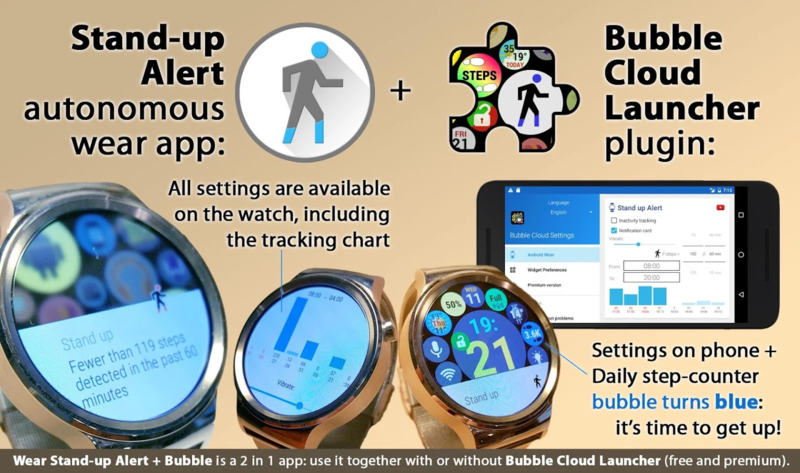 The "bubbles" can feature apps, information, and more, and they're all highly customizable. 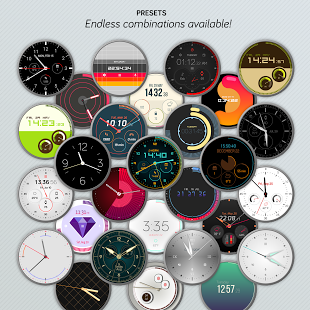 You can even use icon packs. 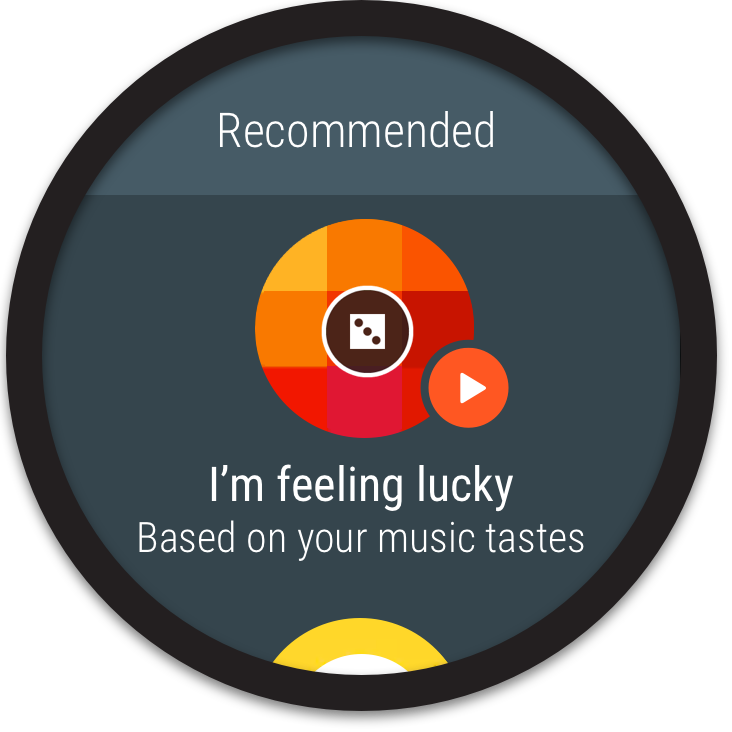 Should you like, this can also be put on your phone's homescreen as a widget. 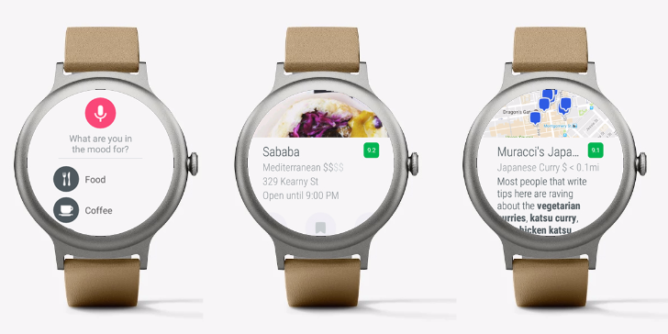 Android Wear 2.0 also brings the ability to use unlimited complications as bubbles. 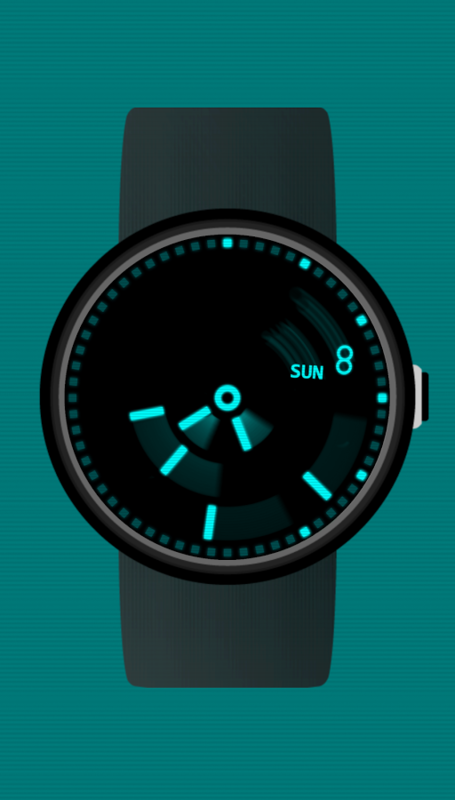 Those of you who like to customize everything to your own specifications will probably find this app/watchface pretty fun. 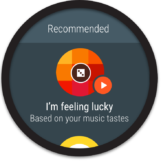 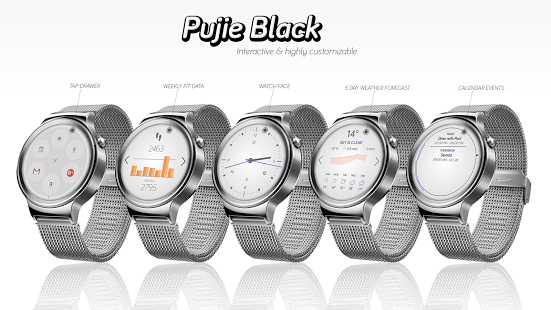 Pujie Black is one of the more established watchfaces for Android Wear out there, with over 50,000 downloads despite having a price tag of $1.99. 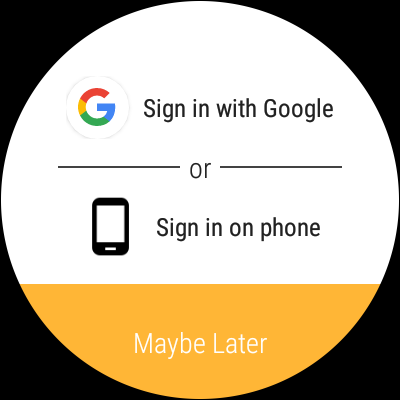 Why, you may ask? 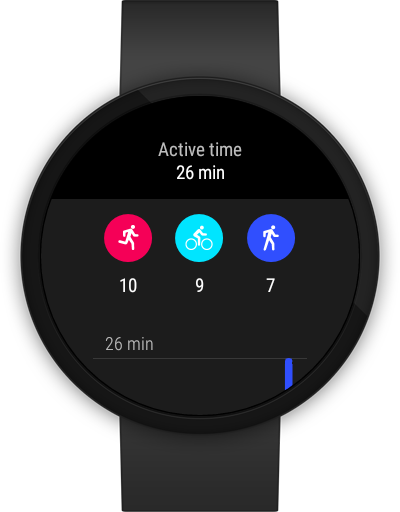 Like the watchface above, it offers tons of customization, all of which has been enhanced by Wear 2.0. 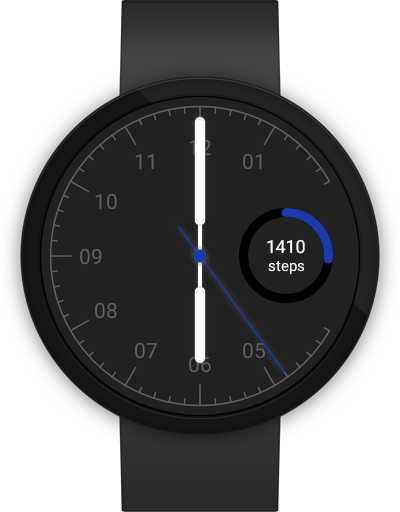 The update works in Wear 2.0's complications, which allow data from other apps to be streamed to the face. 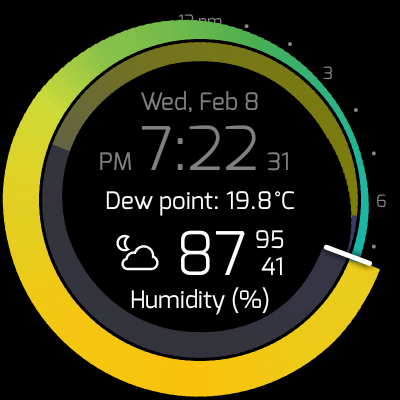 If you like Bubble Widgets but don't quite like the design, this may be of interest to you. 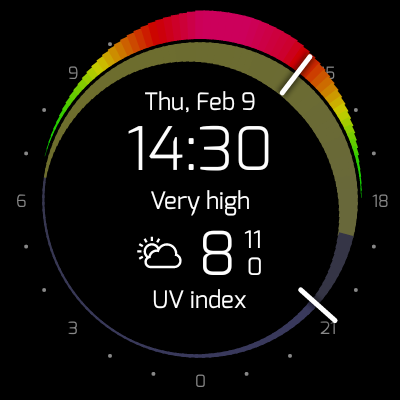 Should AccuWeather's bundled watchface not satisfy your weather appetite, Krona Sunlight may be more suitable for you. 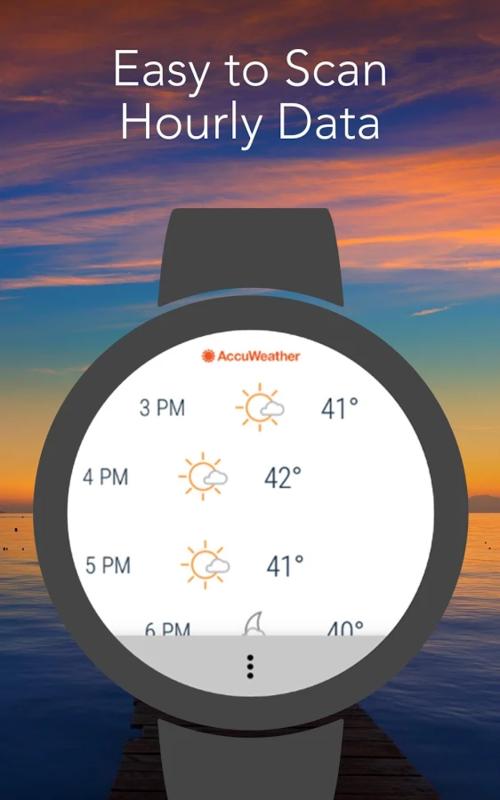 The phone app is well-designed and provides a ton of customization for all types of weather measurements, including temperature, wind, rain, and even more advanced things such as UV index and ski data if you purchase a subscription. 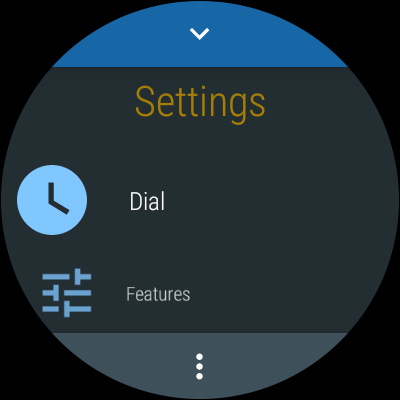 Krona has been updated to integrate complications from third-parties for Wear 2.0, and allows for some tweaking on your wrist. 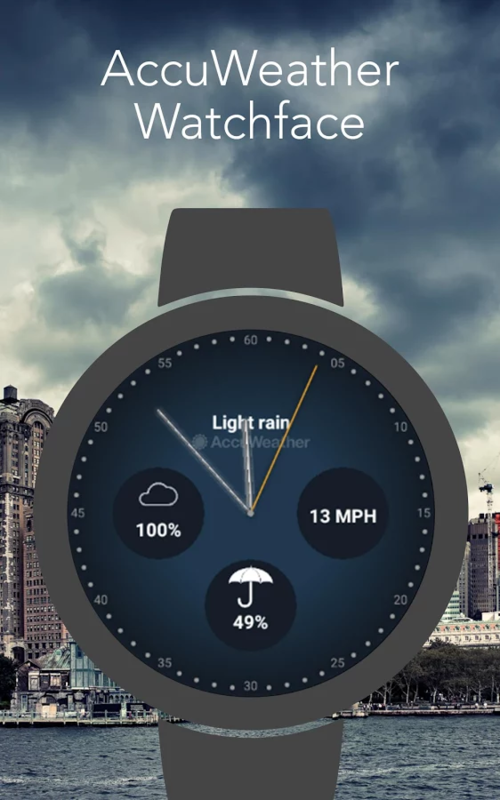 If you really want every weather option, this could get expensive over time with a subscription, but it'll probably be worth it if you're a true weather buff. 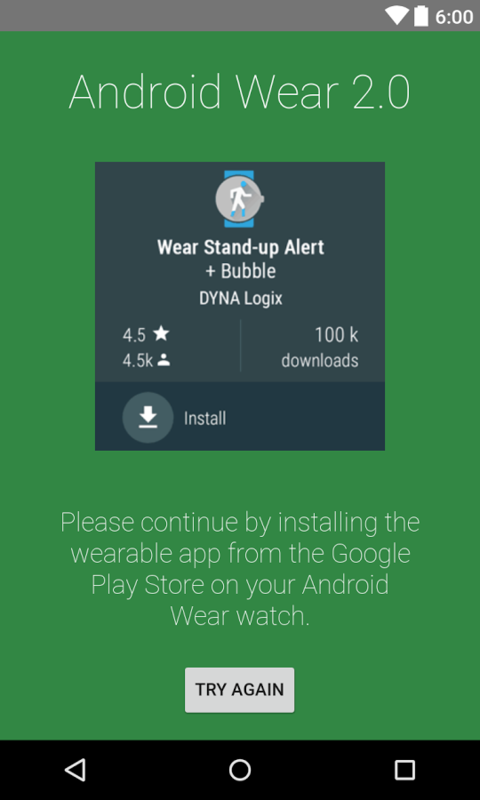 Do you guys use any other solid Wear 2.0 apps that weren't mentioned here? 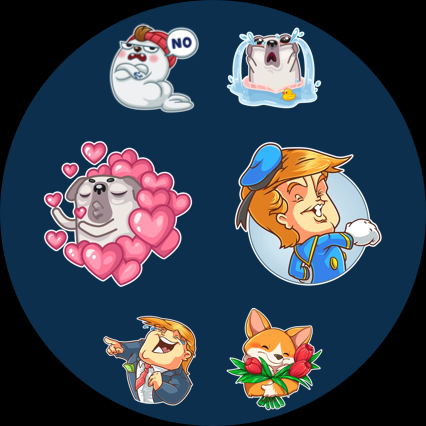 Feel free to discuss them below. 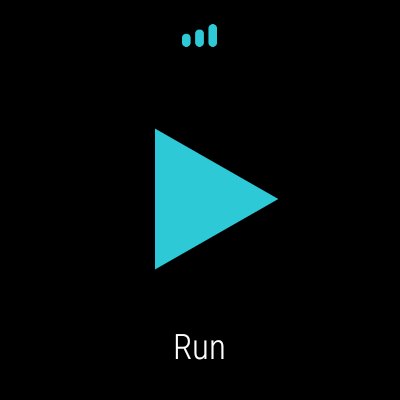 And if you're a developer and would like to see your app featured in a future roundup, shoot us an email at our tips line.